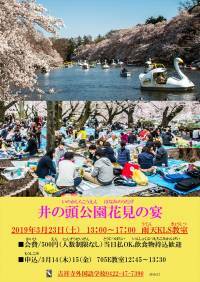 On Saturday, March 23, 2019, we had planned to have a “OHanami” Cherry- blossom viewing Party at Inokashira Park. Unfortunately, due to the unstable weather, it was held at room 401 in KLS. To produce “OHANAMI” in the classroom, we put photographs of the cherry blossoms which were taken at Inokashira Park before on the white board and laid blue sheets in the room. There were 40 participants in the event. It was a pseudo-fancy “OHANAMI”, but we enjoyed eating, drinking, and playing games. Finally, we finished the party by clapping our hands together (Sanbonjime). Thank you everyone for participating in this event. KLS will hold “OHANAMI” Cherry-blossom viewing Party at Inokashira Park. As there is no limitation of the number of people, please join with your friends and family members! * If it rains, it will be held at a classroom in KLS. 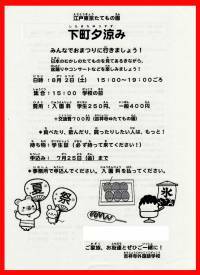 ■Participation fee: 500 yen / Payment on the day is available. *Any number of people can participate. * Graduates: Please call the office to apply (0422-47-7390), and pay a participation fee on the day. We wish your best year. 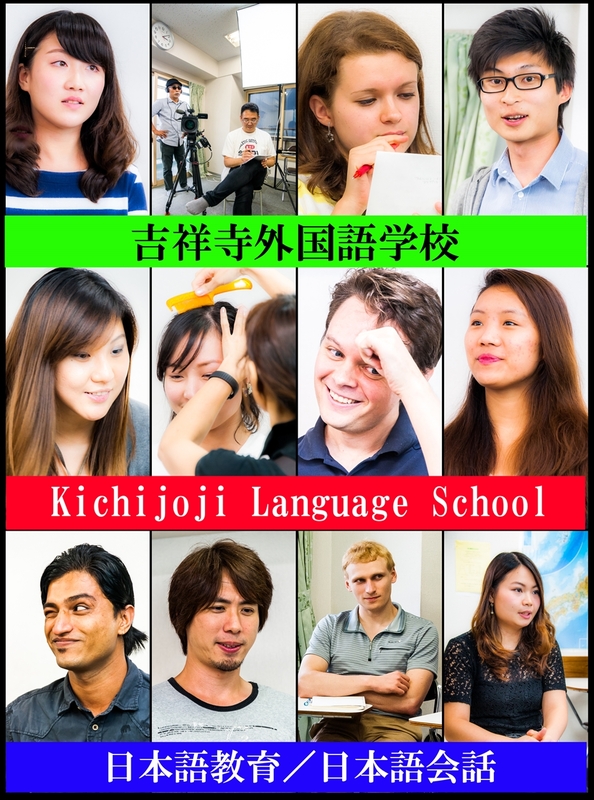 Kichijoji Language School opens from January 4th (Friday). 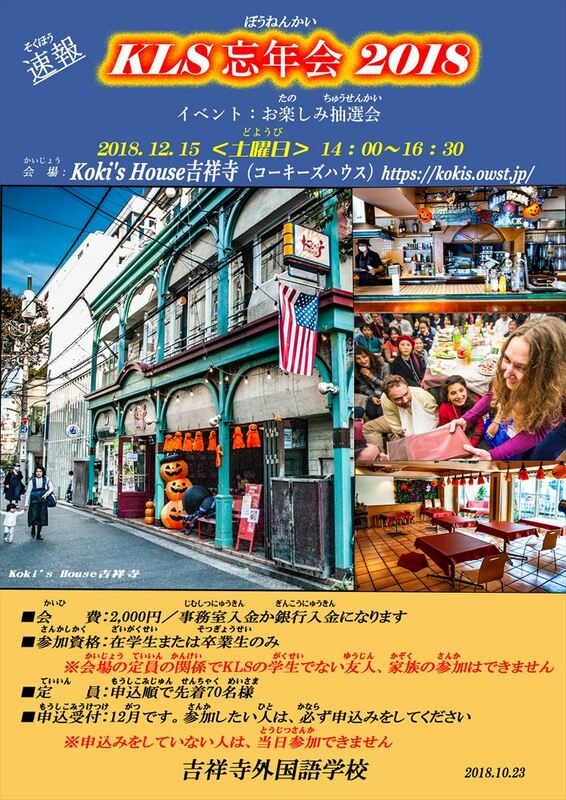 Kichijoji Language School hold a "alcohol-free" KLS Year-End Party on December 15(Sat),2018 from 2:00pm to 4:30pm at "Koki’s House Kichijoji." Every year KLS hold it in the school, but this time KLS did it outside the school for the first time on trial. Due to the capacity of the place, only students or graduates of KLS could participate the party. Firstly, principal Tsuchiya proposed a toast, then we enjoyed delicious freshly cooked dishes and non-alcoholic drinks of all-you -can-drink. Finally, we had a pleasure lottery and finished the party by clapping our hands together (Sanbonjime). Thank you everyone for participating in the party! It was really an enjoyable party. Thank you very much. 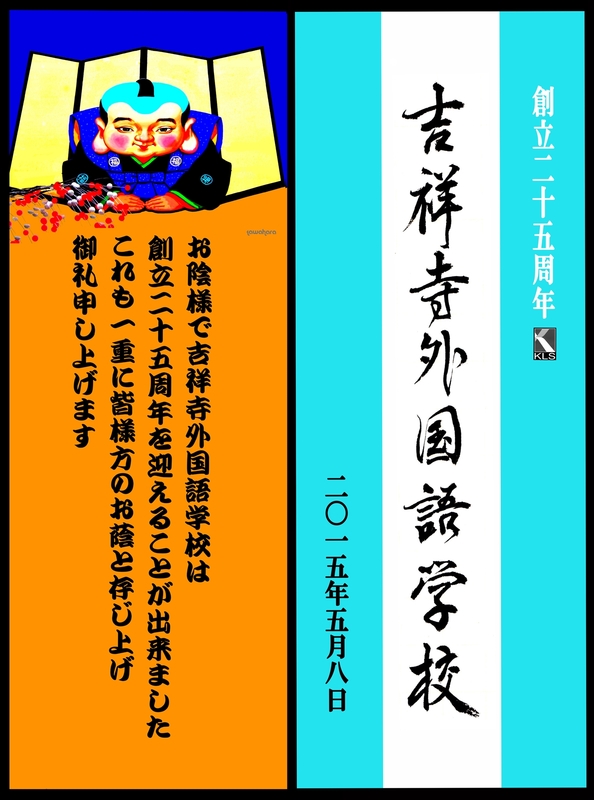 Kabukiza invitation ticket for 2 persons etc. Announcement of KLS Year-End Party 2018: Application period has started! Now KLS is accepting the application of KLS Year-End Party 2018. *Application will not be accepted after the application period. ■ Graduates who cannot come to KLS, please make a phone call to apply (0422-47-7390) and make a payment by bank transfer by December 7(Fri). ■ Application and payment cannot be accepted on the day. Please be sure to apply and make a payment in advance. KLS will hold the annual "KLS Year-End Party". 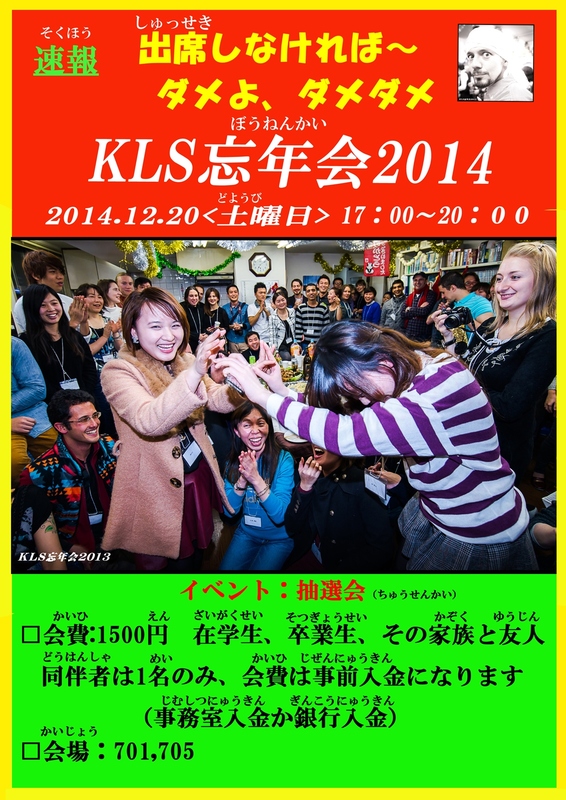 Please note the place for "KLS Year-End Party" this year is NOT Kichijoji Language School(KLS). * Alcoholic beverages will not be served. * Alcoholic beverages cannot be brought in. * Due to the capacity of the place, friends and family members who are not students or graduates of KLS cannot participate. ■Application period: In December. More details will be announced later. * Those who have not applied cannot participate on the day. Please be sure to apply in advance. A ceremony was held in Shufukaikan Plaza-F on Wednesday, 17th October KIM SUNJIN , a KLS student from KOREA, was given a scholarship certificate as one of 53 scholarship students selected by LSH (Lee Soo Hyun) Asia Shogakukai. The pictures on the facebook. During the lunch break time of the 3rd August in 2018, we held the watermelon party. 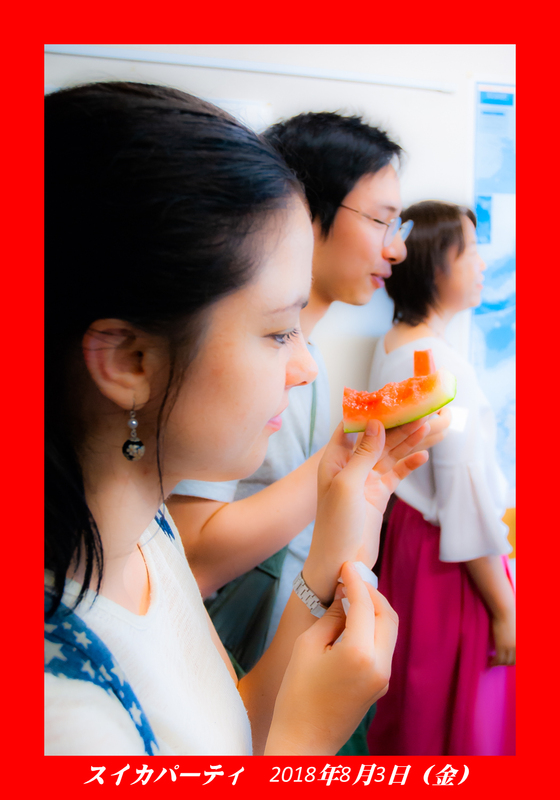 The students, belonging in the class from beginners to upper garades, and teachers were getting together, eating watermelons and chatting the enjoyable topics like their countries’ them. 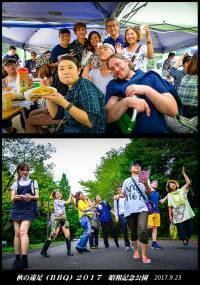 Our annual event Tachikawa “BBQ Party at Showa Kinen Park” had been usually held in September as “Autumn Excursion”, but BBQ Party was held on May 27 (Fri) this year. 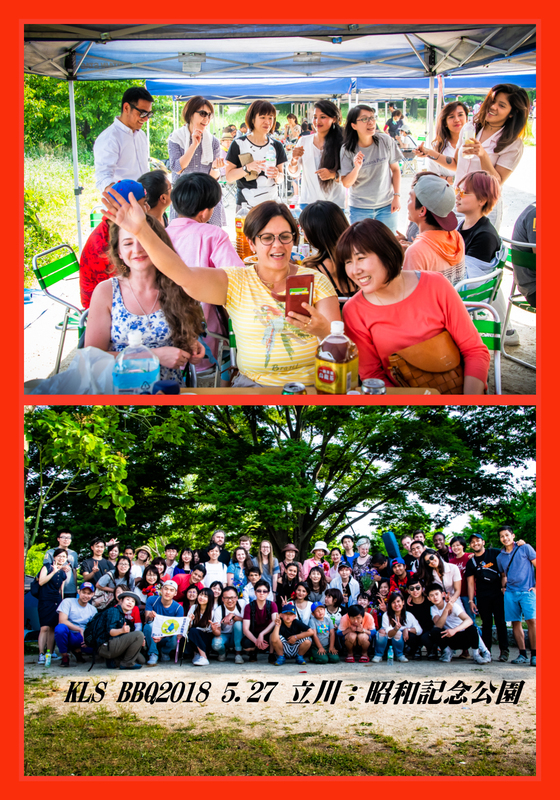 KLS students, graduates, teachers and staffs joined BBQ Party and 84 people participated in the event. We had a lot of talks with our friends from all over the world and enjoyed the BBQ Party. “Minna no Harappa”. We enjoyed that pleasant day until around 4 p.m. Thank you everyone for participating in KLS event ! We took 476 photos and 100 of them are posted. 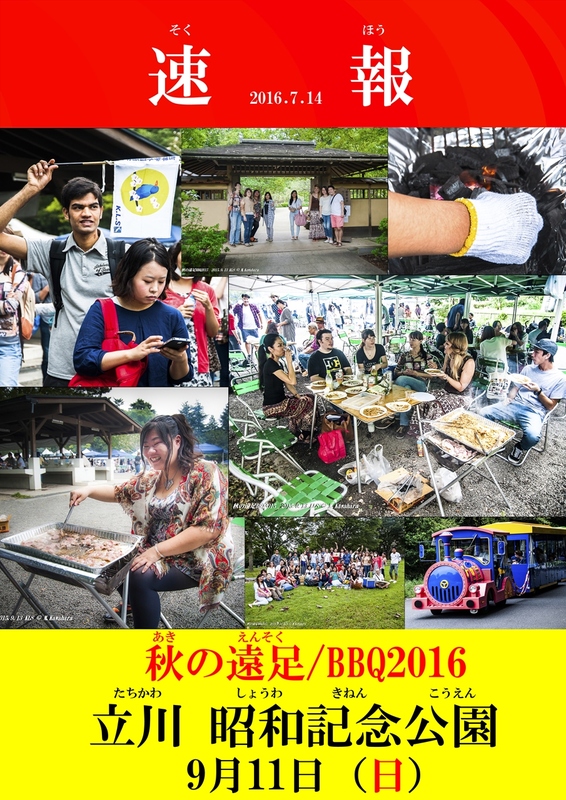 Why do not you join the annual Tachikawa ’BBQ Party at Showa Kinen Park’! 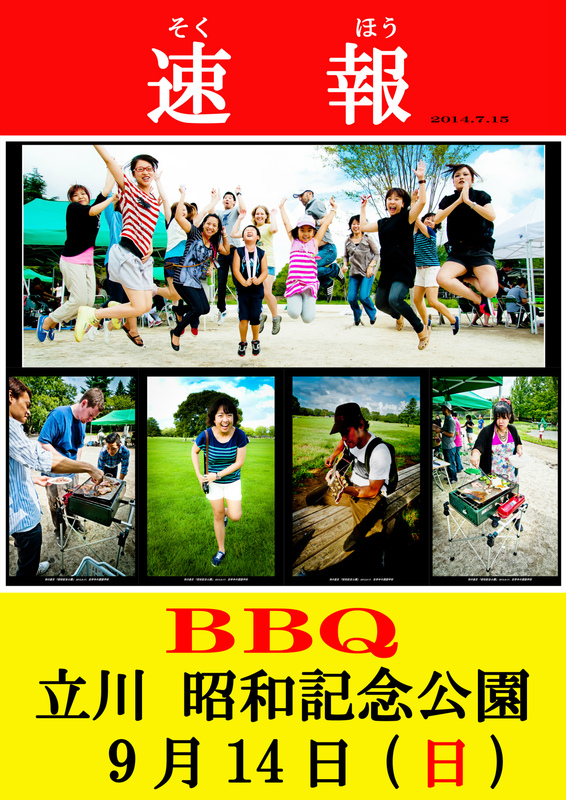 The BBQ party will be held on May 27 (Sun). KLS students, graduates, teachers, staffs and their family members & friends can join this event. Let’s enjoy the BBQ and have fun together! 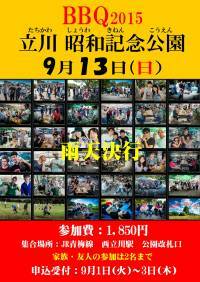 ※Two persons of family members and/or friends (maximum) can join this event. at the office or by bank transfer by May 17(Thu). 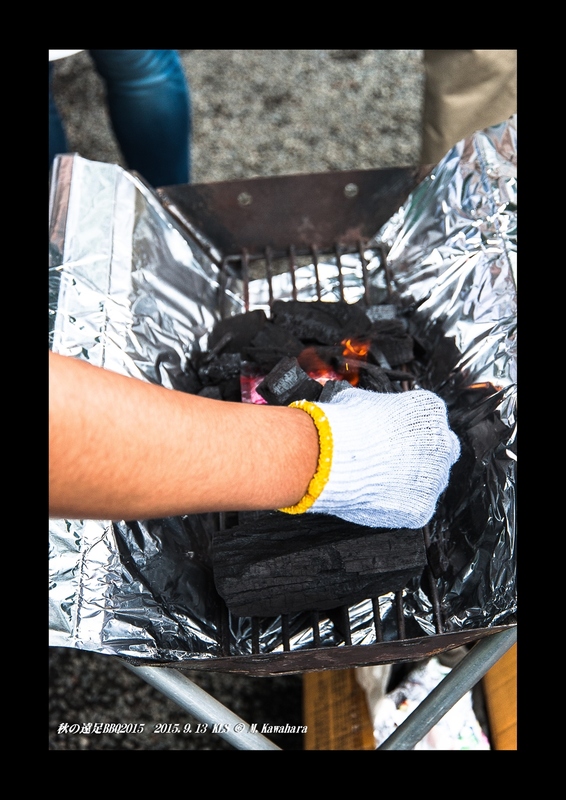 ※Even it rains on that day, BBQ will NOT be canceled. 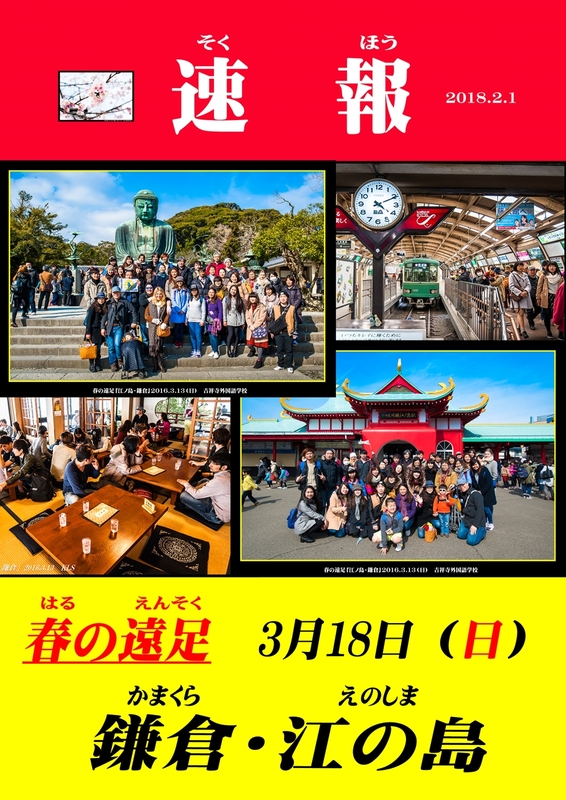 KLS event Spring excursion「Kamakura & Enoshima」 will be hold. * Participation of family and friends will be 2 person limit. ＊The Lunch will be provided by KLS. *Application will be in early March. * For more information will be announced in mid-February. 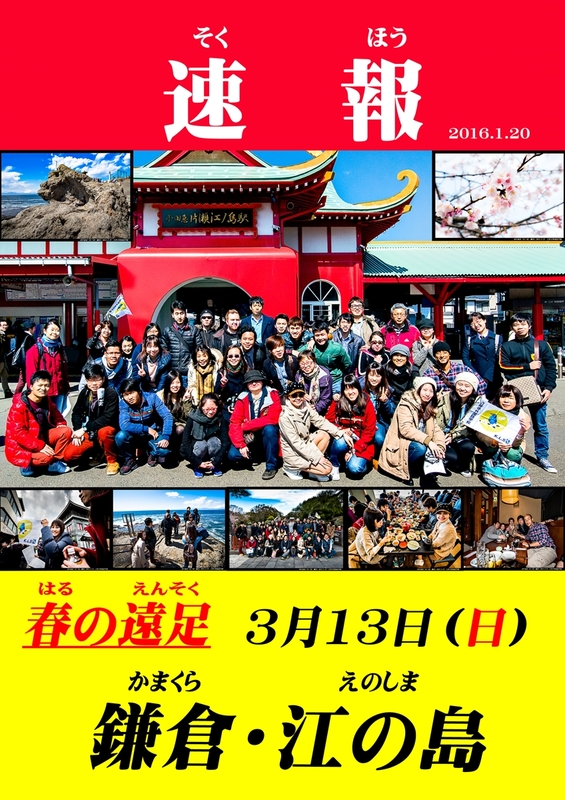 March 13, 2016 (Sanday) KLS spring hiking " Kamakura & Enoshima " recorded in uploading photos have Facebook, please visit. 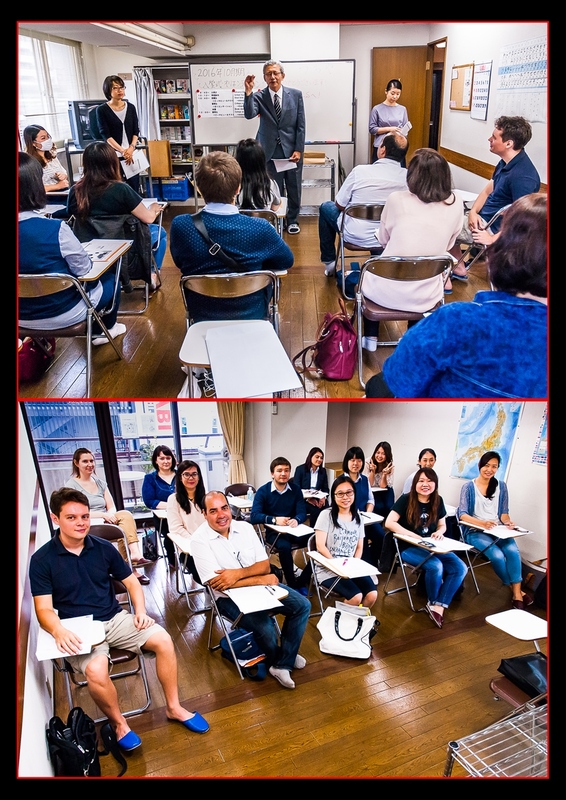 Kichijoji Language School opens from January 4th (Thursday). 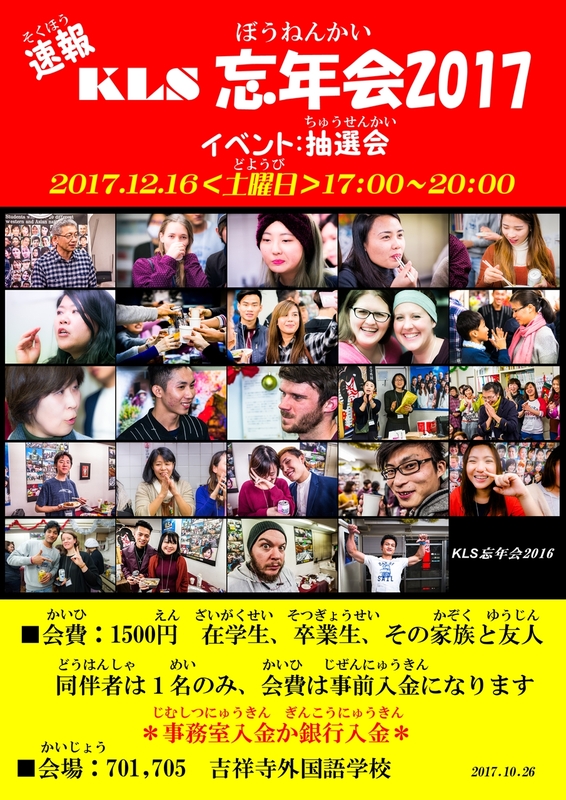 < Breaking news > 2017 year-end party! 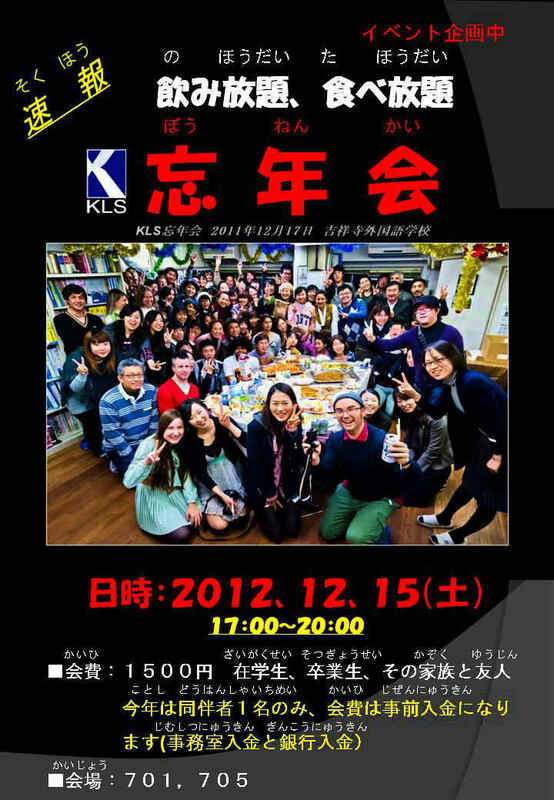 The annual「KLS year-end party」 will be held. KLS students, graduates, and please join us with your friends and family. ＊ Due to limited space, you can bring only one companion this year. ＊ The participation fees should be paid before the party. You can pay fee at 701 office or transfer the fee into our bank account. ＊Students: Please apply for the party in the office. Graduate: Please make a phone call (0422-47-7390) to us. 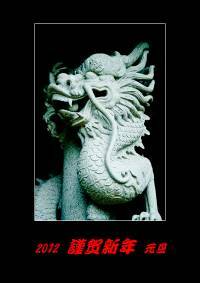 CHIU LONG TING（Hong Kong）Scholarship　Congratulations! A ceremony was held in Shufukaikan Plaza-F on Wednesday, 18th October CHIU LONG TING, a KLS student from Hong Kong, was given a scholarship certificate as one of 54 scholarship students selected by LSH (Lee Soo Hyun) Asia Shogakukai. Please enjoy and learn your study and life. 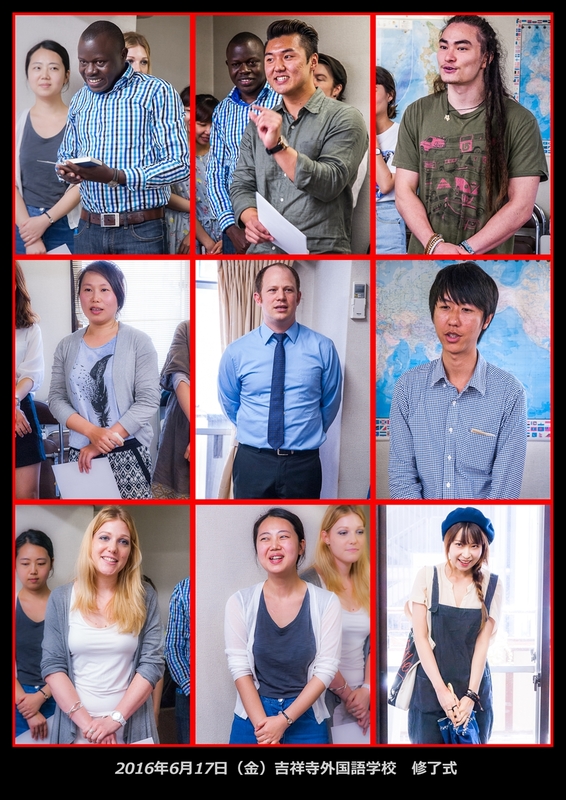 Please visit Kichijoji Language School Facebook which includes its photos. On September 23th (Sat. ), we went to Showakinen Park located in Tachikawa as an autumn excursion(annual event). 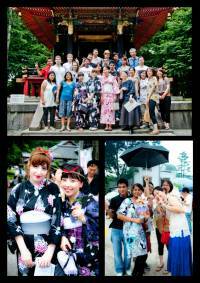 We met at Nishitachikawa Station around 10:00 a.m., and we had a barbeque party at the Showakinen Park. We had a lot of talks with our friends from all over the world and enjoyed BBQ Party. fter we ate enough and were full, we separated into two groups. 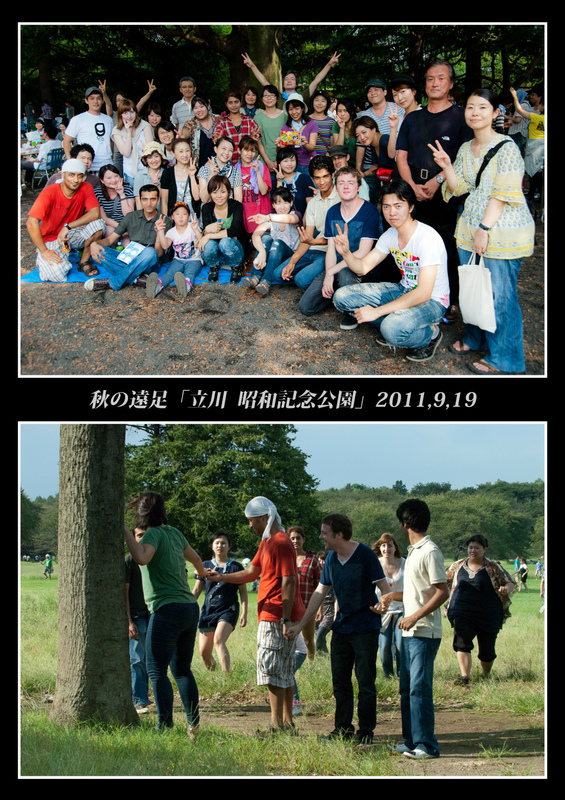 One group went to see Japanese garden, and the other group went to a big field to play sports. We really enjoyed that day until 3p.m. Thanks to you all, it was an enjoyable excursion. Thank you very much. The photos are on FACEBOOK. 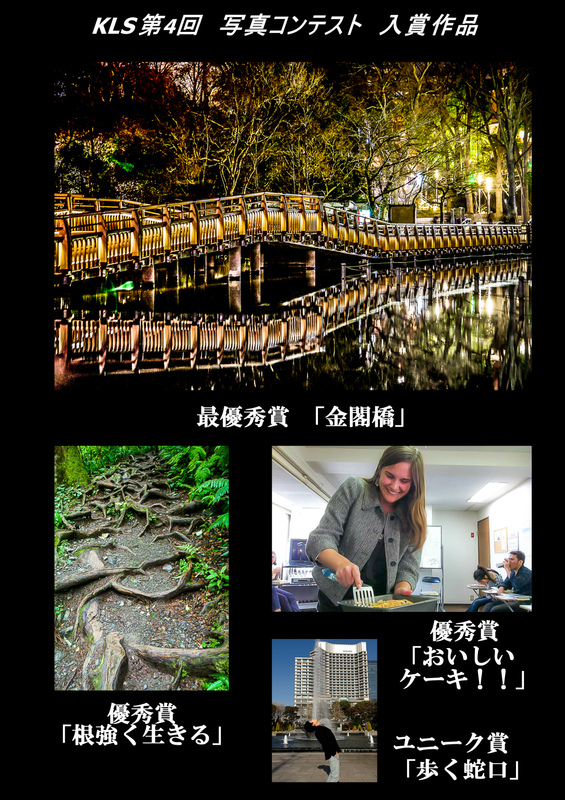 Our annual event Autumn Excursion BBQ 2017 will be held in Tachikawa Showa Kinen Park. KLS students,graduates,teachers,staffs and their family members & friends can join this event. 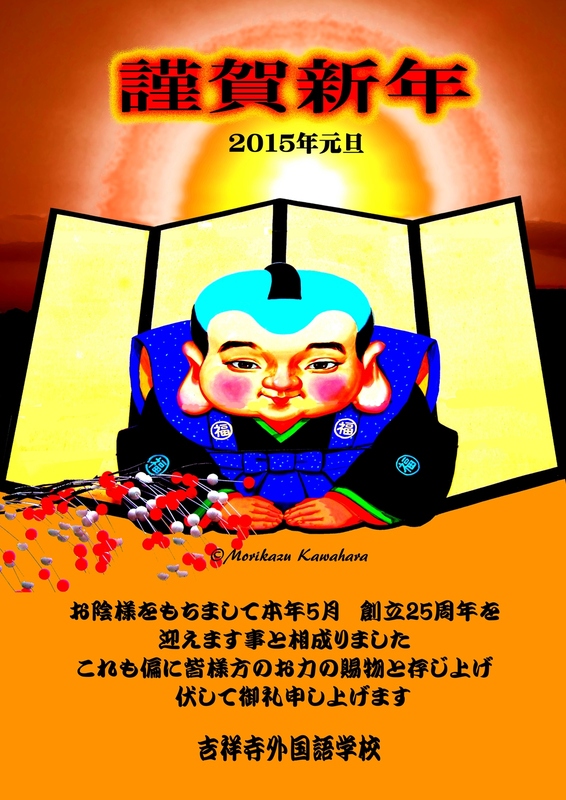 ※Two persons of family members and friends (maximum) can join this event. ※Even it rains on that day,BBQ will NOT be canceled. 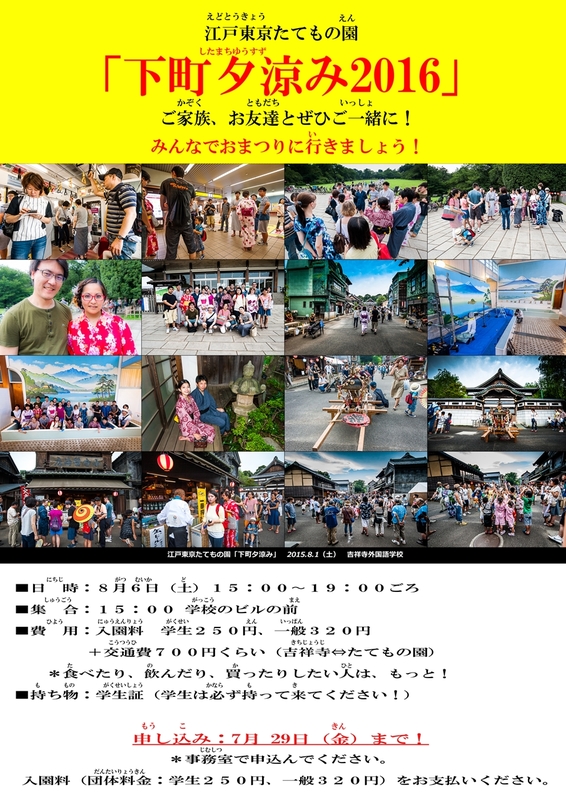 (located 5 minutes by bus from North Gate JR Chuo line Musashikoganei station )and joined SHITAMACHI-YUUSUZUMI (Enjoying the Cool Evening Breeze Downtown Event) summer festival as an annual event. At the downtown shopping street with relocated and restored buildings, we had a wonderful time for taking photos wearing YUKATA, Shopping in a stall, drinking beer and RAMUNE(soda pop),watching KODOMO-MIKOSHI, trying to dance BON-ODORI. After enjoying the event, some of us had a small party and thanked for sharing this pleasant evening. The entrance ceremony of the term of April 2017. The entrance ceremony of the term of April were held three times for the first time. ③ April 7 (Fri) The entrance ceremony for students who arrived Japan late. 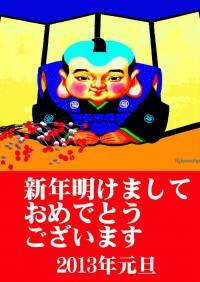 Please enjoy your study and life in Japan and learn Japanese. Do your best and good luck,New Students! All current students,please take care of new students.Thank you ! 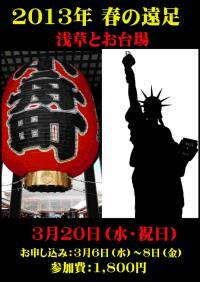 KLS event Spring excursion「Asakusa&Ryogoku」 will be hold. Application will be in early March. 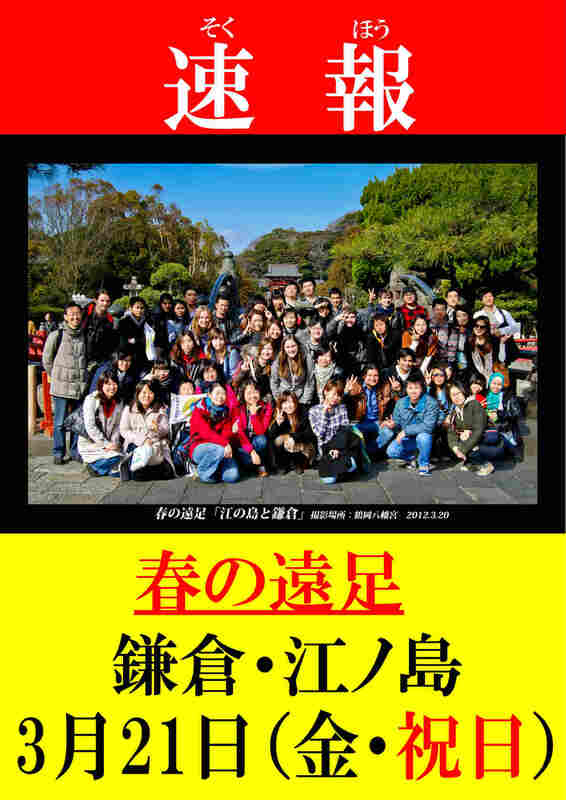 March 21, 2015 (Saturday・holidays) KLS spring hiking "Asakusa " recorded in uploading photos have Facebook, please visit. 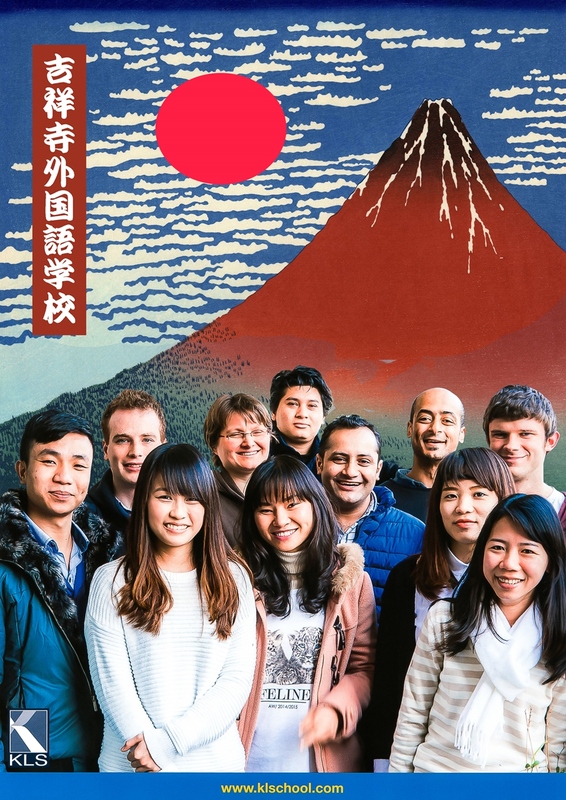 Kichijoji Language School opens from January 4th (Wednesday). A ceremony was held in Shufukaikan Plaza-F on Wednesday, 19th October. Kim sun Myung, a KLS student from Korea, was given a scholarship certificate as one of 51 scholarship students selected by LSH (Lee Soo Hyun) Asia Shogakukai. On June 16th, 2016 (Fri.), the graduates, teachers and staffs gathered at J room, and the 2016 April term graduation ceremony was held. 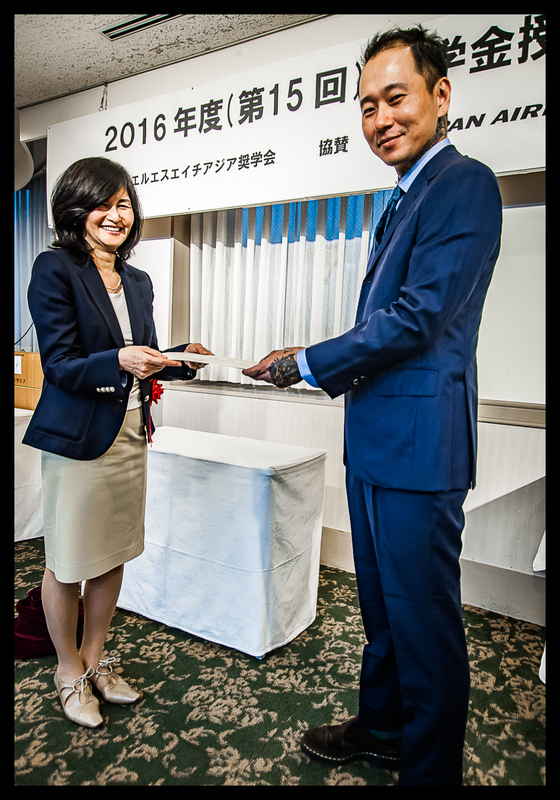 School principal Tsuchiya handed the graduation certificates to all graduates. The graduates gave a speech to thank for school in Japanese. After that, teachers and staffs congratulated the graduates with some messages. Congratulate for graduation. We hope that you all will have a wonderful future. Now we are accepting the application of college student visa for 2017 April term. The deadline is October 31. For more details, please contact us directory. We joined a summer festival ‘a cool evening in old downtown’ held in the Edo-Tokyo Open-air Architectural Museum in Koganei Park, located five minutes by bus from Musashi Koganei Station. At the old downtown area mall, which has been relocated and reconstructed, we took pictures with a figure dressed in a yukata, shopped at the stalls and watched some performance. We also joined in a performance by Japanese drums and danced in the Bon festival. All in all, we enjoyed a good time! 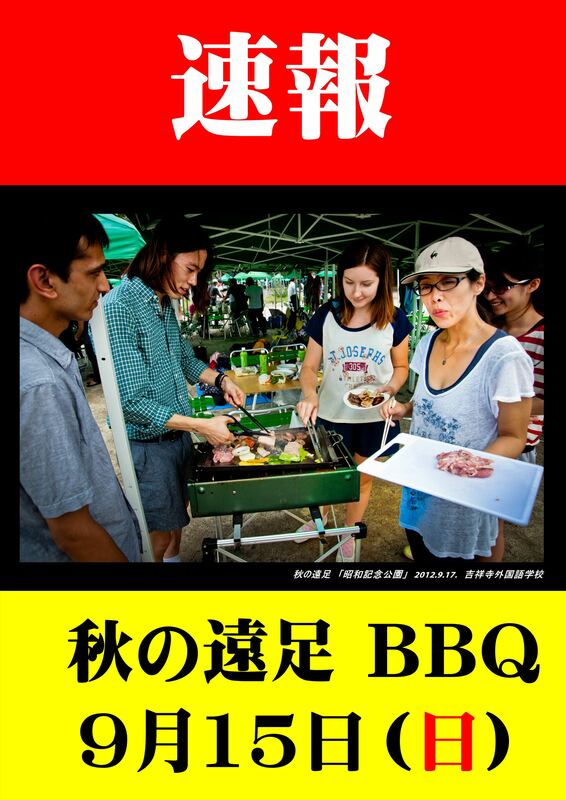 customary Tachikawa "BBQ party in a Showa Kinen park" will be held. Come with your family or friends, Let’s go enjoying the barbecue! Participation of a family and a friend will be taken as to two persons. ＊It announces for details later. Please come and join us with your family and friend! Let’s go to the summer festival! 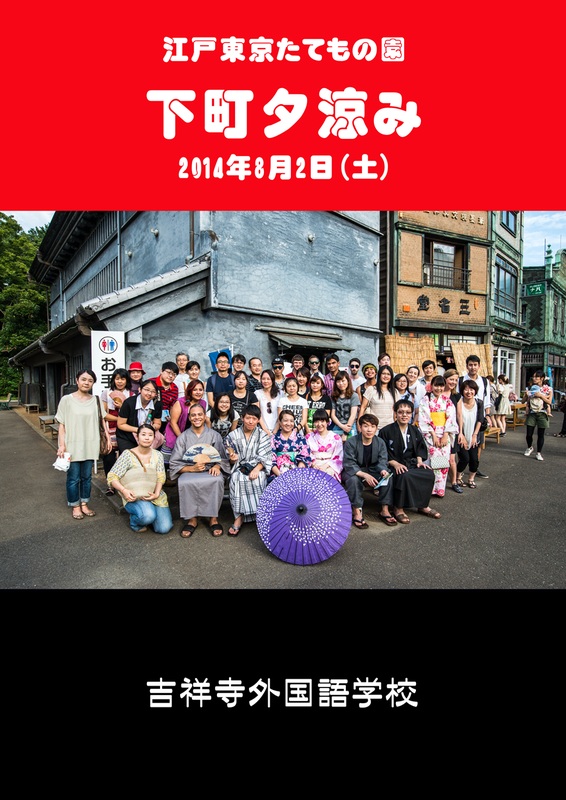 As we walk and look around Japanese old buildings, we will enjoy the Japanese traditional dance and concert! ・Meeting Time&Place : 15:00 In front of school building→we all go together! ＊If you want to eat, drink and buy things, ase bring some more money. ＊Please apply at the office. 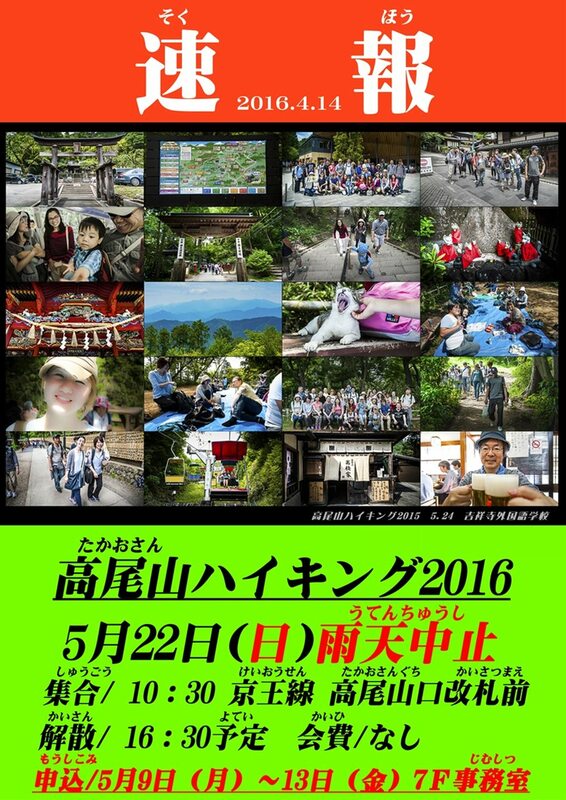 Please pay the entry fee (group) (student 250yen others 320yen). ＊Graduates, please call to KLS (0422-47-7390) and pay the entry fee to KLS workers on the event day. On June 17th, 2016 (Fri.), the graduates, teachers and staffs gathered at J room, and the 2016 April term graduation ceremony was held. KLS held Tea Ceremony Workshop 2016 at M room from 12:30 to 13:30 pm on 9th of June, 2016. The participants were the 14 students from Basic class through Advance class. 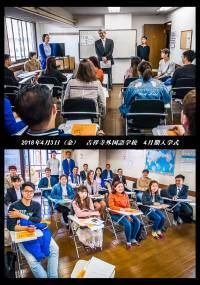 The instructors were Ozaki teacher and Yoshida teacher, and the assistant was Watanabe teacher. All the students were divided into three groups and learned how to pick up the snack, how to drink a tea and how to use a bamboo tea whisk. This is news of Mt. Takao Hiking. Everybody climbs up the mountain and enjoys it! The current students, the graduates, teachers & staff, the family members and friends can join this event. We all have a wonderful time! Please join this event! APPLICATION : During May 9th(Mon.)~13th(Fri.) , please come to KLS office and apply. April entrance ceremony and Orientation were held at KLS on March 29th (Tue.),2016. 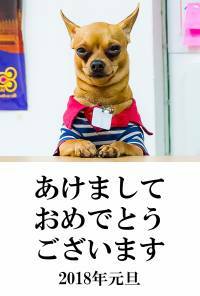 Please learn Japanese well and enjoy your life in Japan. We wish you do best. All the students are welcoming new students! Thank you for your coming. We had a lot of fun. We met at Odakyu gate of Shinjuku Station at 8:30 a.m. and went to Katase Enoshima Station by Odakyu line and Enoshima line. Then, we were hanging around Enoshima. We had a lunch at “Uomitei” restaurant located in front of Iwaya in Enoshima. After a lunch, we spent some time in Enoshima for a fun. 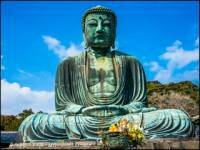 Then we went to Hase Station by Enoden line and visited Kotokuin’s “Kamakura Buddha (Reopen from March 11th)” which had been in the process of preservation and repair since January 13th,2016. All the pictures are posted on facebook. Please click each sections and then you can look at the pictures. 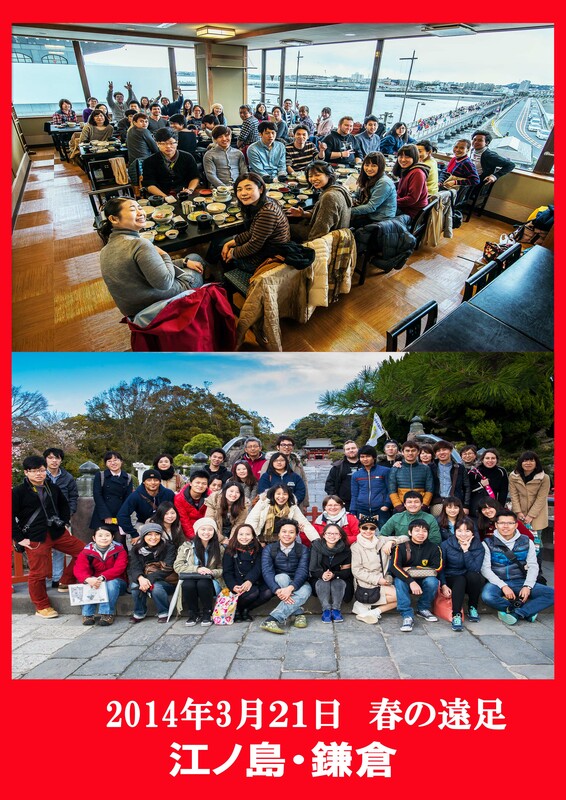 KLS will hold Spring Excursion to “Kamakura and Enoshima”. Students, Graduates, Teachers and their families & friends can join. Let’s go for a walk around Kamakura and Enoshima together in the springtime, and have a good time ! Two persons of families & friends at most can join this event. KLS will pay for your lunch ! The application starts from the beginning of March. You need to pay your event fee in advance, and can pay at the office or bank transfer. 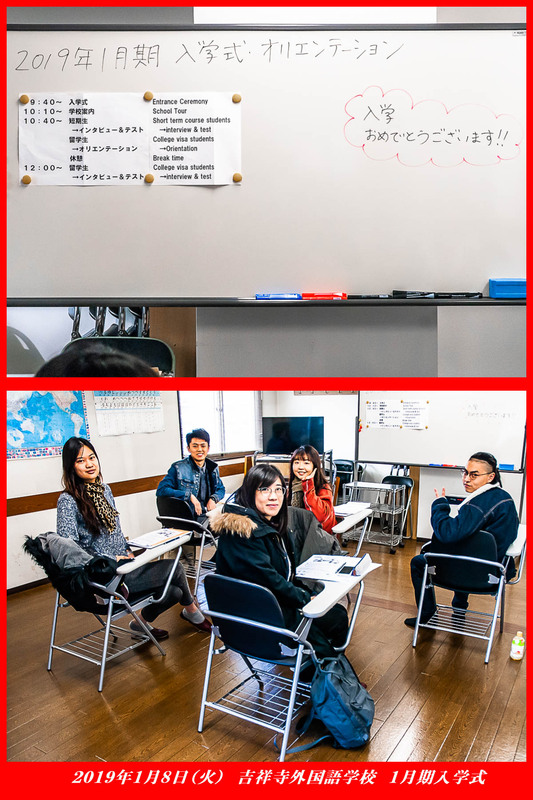 We will notify the details to you in the middle of Feb.
Kichijoji Language School opens from January 4th (Monday). 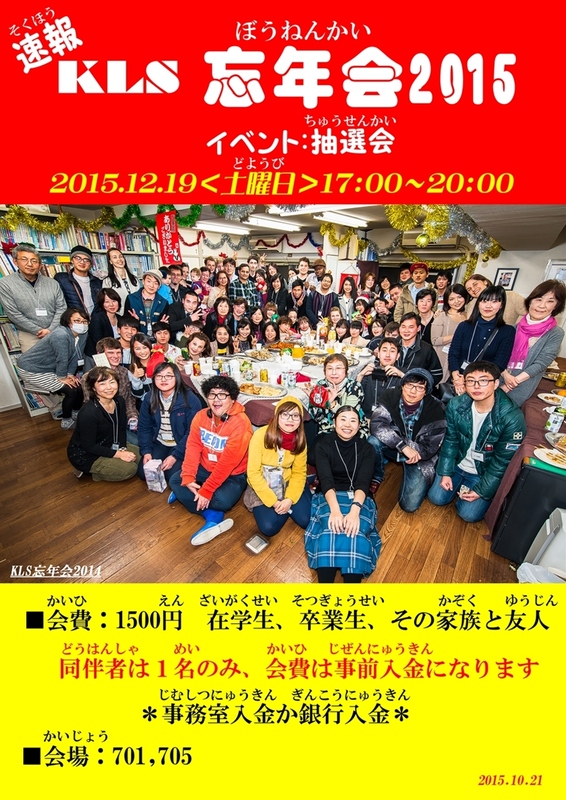 < Breaking news > 2015 year-end party! We will announce the application period later on. A ceremony was held in Shufukaikan Plaza-F on Thursday, 15th October. 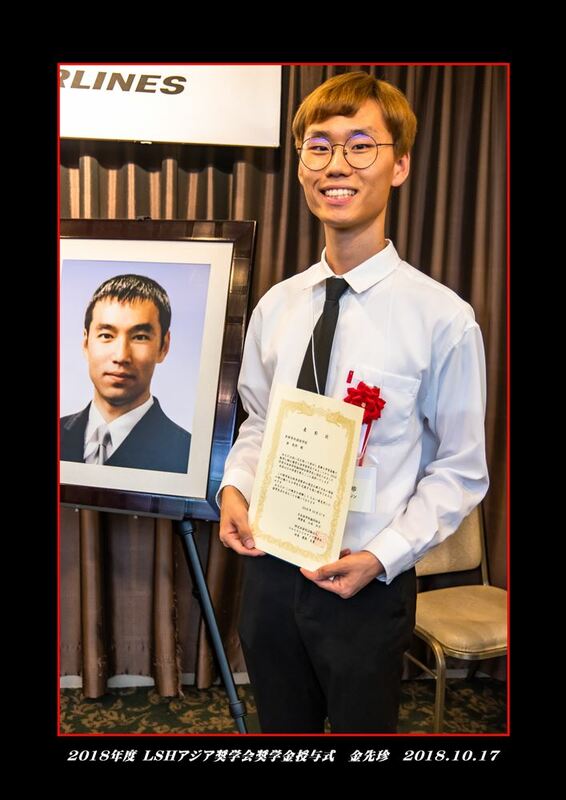 Pahadi Keshab, a KLS student from Nepal, was given a scholarship certificate as one of 50 scholarship students selected by LSH (Lee Soo Hyun) Asia Shogakukai. After the ceremony, the parents of Lee Soo Hyun, scholarship students and supporters enjoyed a light meal and fellowship. become a bridge linking two countries. On September 13th (Sun. ), we went to Showakinen Park located in Tachikawa as an autumn excursion(annual event). After we ate enough and were full, we separated into two groups. 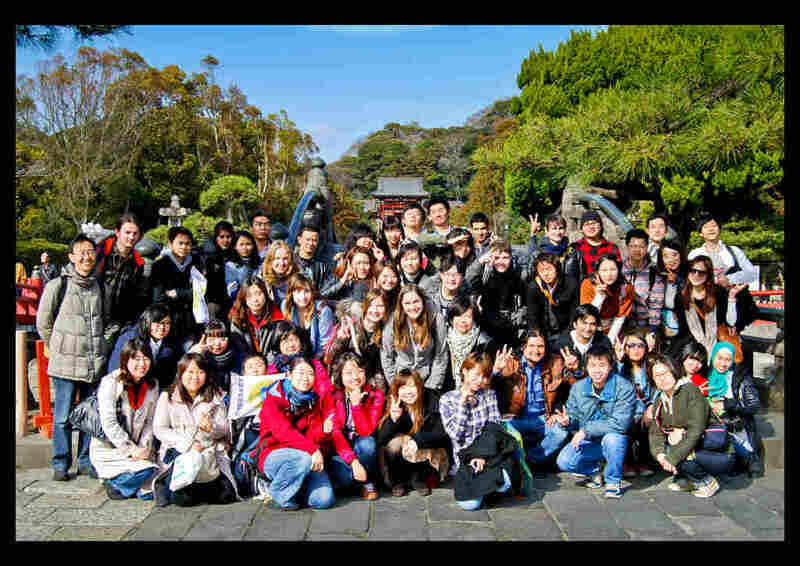 One group went to see Japanese garden, and the other group went to a big field to play sports. We really enjoyed that day until 3:30 p.m.
On September 18th,2015(Fri.), the graduates,teachers and staffs gathered at J room, and the 2015 July term graduation ceremony was held. 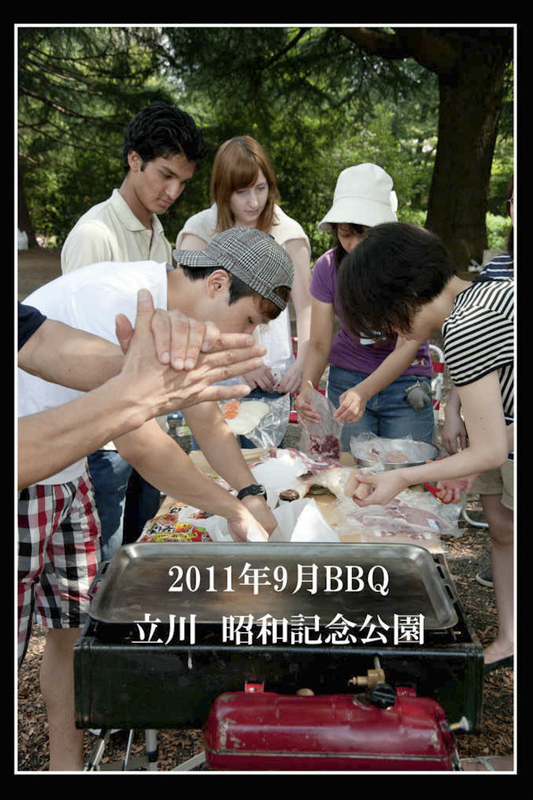 Why don’t you join the BBQ Party at Showakinen Park (annual event) ? We will spend a wonderful time together! Two persons of families and friends (maximum) can join this event. ＊Even it rains on that day, BBQ will NOT be canceled. Japanese traditional dance and concert! Meeting Time&Place : 15:00 In front of school building→we all go together! ＊If you want to eat, drink and buy things, please bring some more money. Thanks for the interpreters. Graduates Rameshworさん、Sebastienさん、Students 洪さん、黄さん. 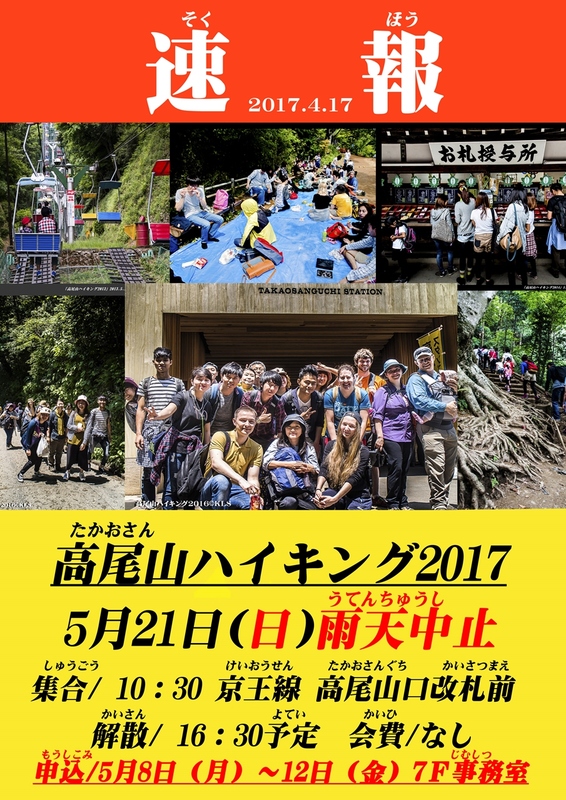 Kichijoji Language School (KLS) welcomed 25th anniversary since its foundation with your help and support on May 8th,2015. We all thank students, graduates, teachers and any other staff for their help and support. 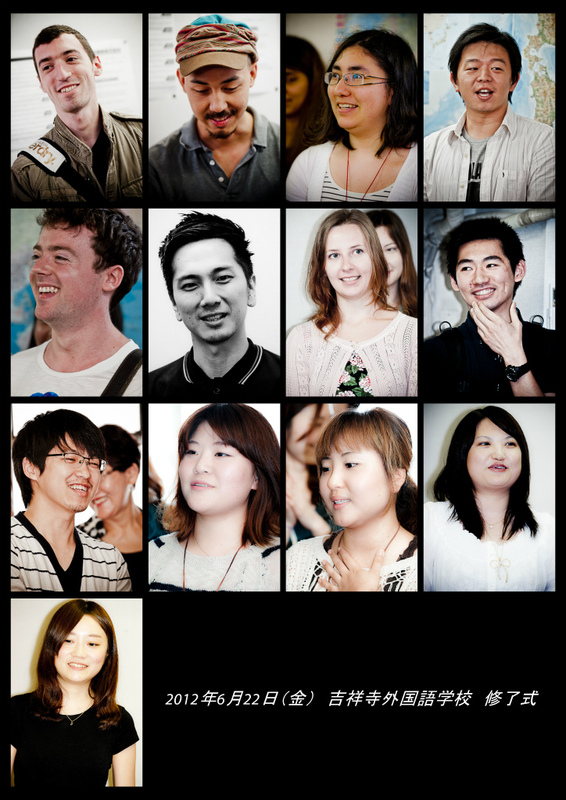 APPLICATION : During May11th(Mon.)~15th(Fri.) , please come to KLS office and apply. 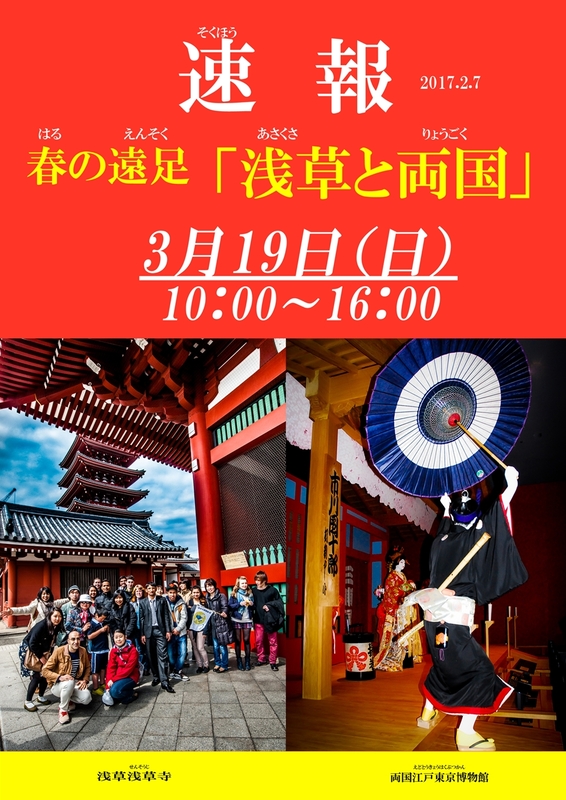 KLS event Spring excursion「Asakusa&? Stay tuned!」 will be hold. * Application will be in early March. March 20, 2013 (Wednesday・holidays) KLS spring hiking "Asakusa and Odaiba" recorded in uploading photos have Facebook, please visit. 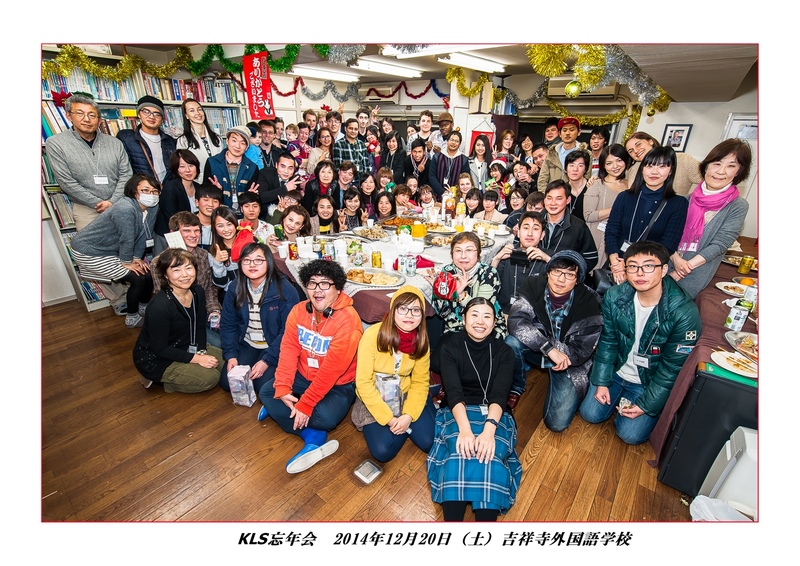 As usual 「KLS year-end party」was be held on December 20(Saturday). The students, graduates, teachers, staff and their family and friends to a total of about 80 people attended. We also held a raffle annual lottery. 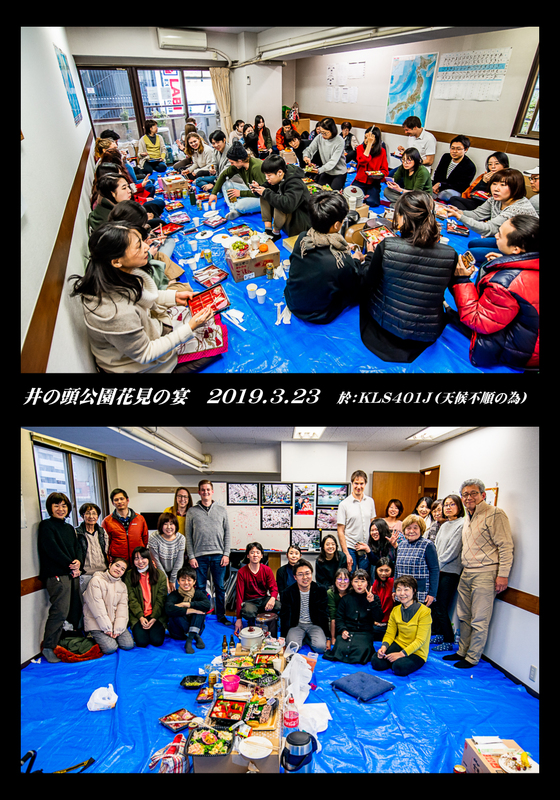 They brought homemade food, snacks and wine, of the active participation of all the guests in a lively atmosphere lively year-end party ended. Thank you for participation. * Year-end party photos were be uploaded on 「Kichijoji Language School Facebook」, please you browse. Please search in Kichijoji foreign language school on Face book. From now on, some events are planning!! We are waiting for you join! Congratulations to you all a Happy New Year. Also thank you this year. 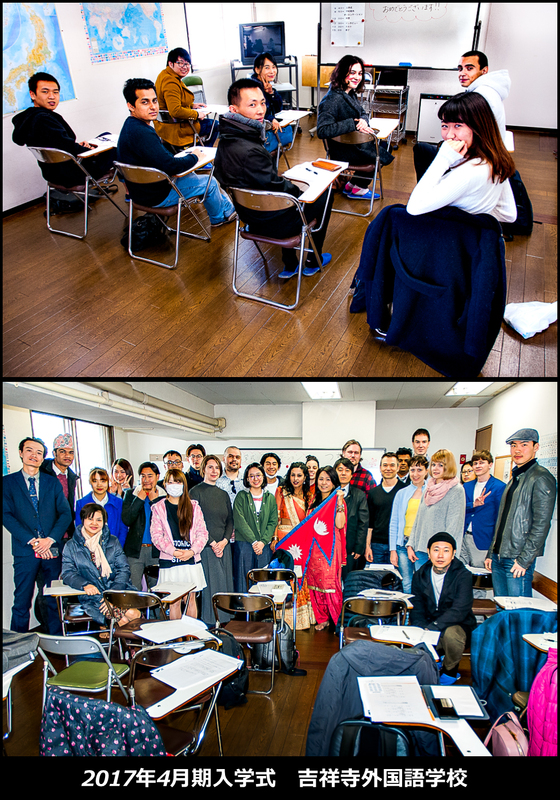 Kichijoji Language School on January 5 start normal business. 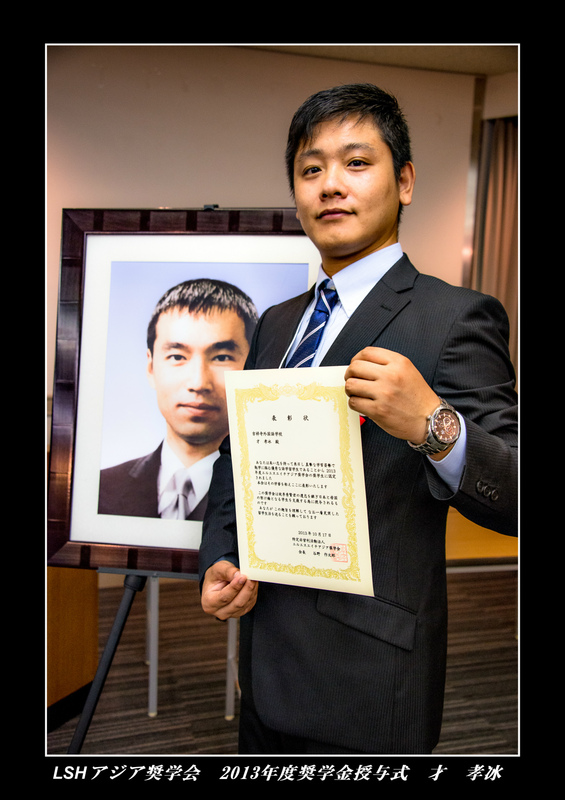 On Friday , 17 October, at a ceremony held in Shufukaikan Plaza-F, Sedhai Dipendra, a KLS student from Nepal , was conferred with a scholarship certificate as one of 50 scholarship students selected by LSH (Lee Soo Hyun) Asia Shogakukai. After the ceremony, the parents of Lee Soo Hyun, scholarship students and supporters enjoyed a friendly dinner and fellowship. LSH Asia Shogakukai (scholarship) is to honour the courage of Lee Soo Hyun and to provide financial support for students studying in foreign language schools and making an effort to become a bridge linking two countries. < Breaking news > 2014 year-end party! 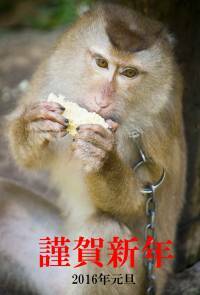 “出席しなければ～、ダメよ、ダメダメ” Oh no not participate. 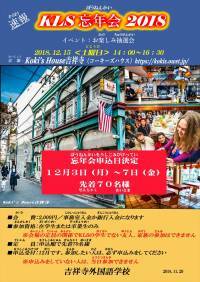 The annual「KLS year-end party」 will hold . KLS students, graduates, and please join us of your friends and family. ＊ Due to limited space, you can only carry one companion this year. ＊ The participation fees should be paid before the party. Please pass study in Japan, and a new life happily. 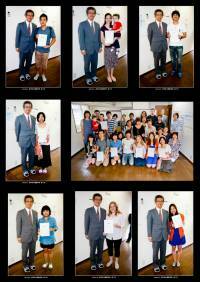 Photos please visit Kichijoji Language School of Facebook. ＊ The pictures of the graduation ceremony can be found on Facebook. 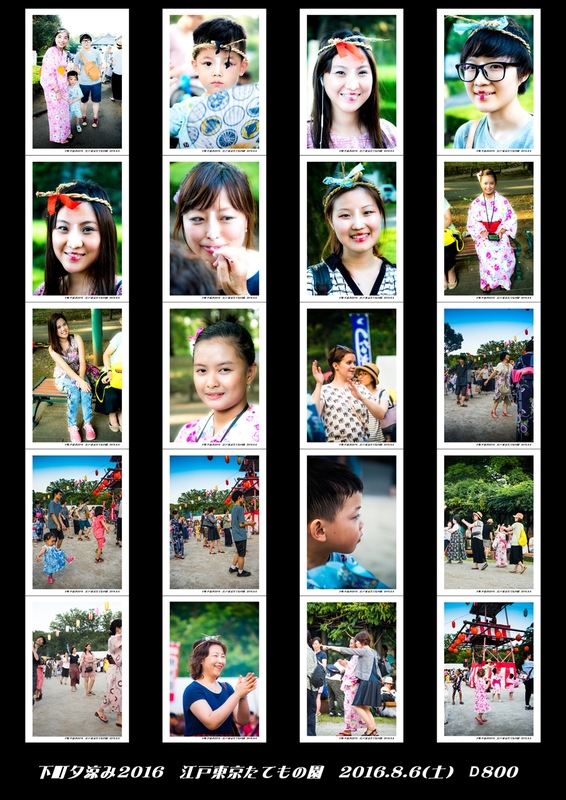 September 14 (Sunday), We joined the annual Autumn festival[Tachikawa Showakinen Park ]. 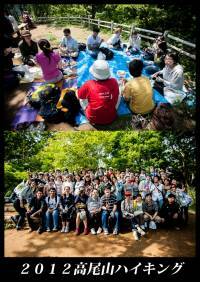 We met at 10 o’clock at the Nishitachikawa station and then went to the park together and hold a BBQ party! We enjoyed the talking with friends from various countries, enjoyed the barbecue. After barbecue, we enjoyed a lot of sports at[Minnanoharappa]. We enjoyed until 15:30.We enjoyed this day. What a nice day! Thank you for everybody! About Picture, Check at Facebook . We joined the annual summer festival ‘downtown cool of the evening’ held the annual in the Edo-Tokyo Open-air Architectural Museum in Koganei Park, located five minutes by bus from Musashi Koganei Station. At the downtown area mall, which has been relocated and reconstructed, we took pictures with a figure dressed in a yukata, shopped at the stalls and watched some performance. 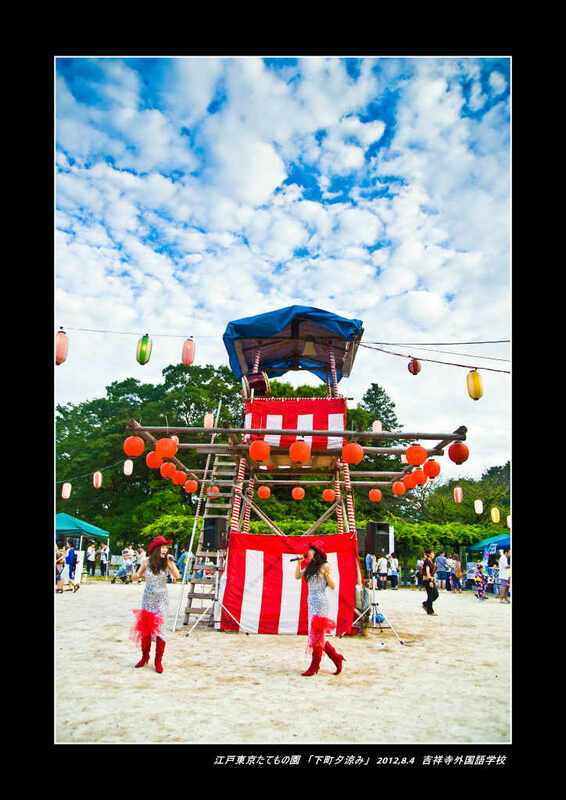 We also joined in a performance by Japanese Children Portable shrine and danced in the Bon festival. Hutch. Did a lot of the audience or for being exhibition "three-dimensional buildings Exhibition of Ghibli" until [December 14(Sun)] this year. 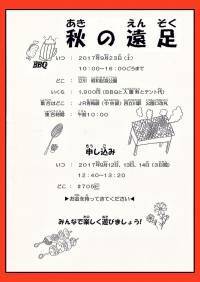 Although it was stopped last year for the influence of a typhoon, customary Tachikawa "BBQ party in a Showa Kinen park" will be held. 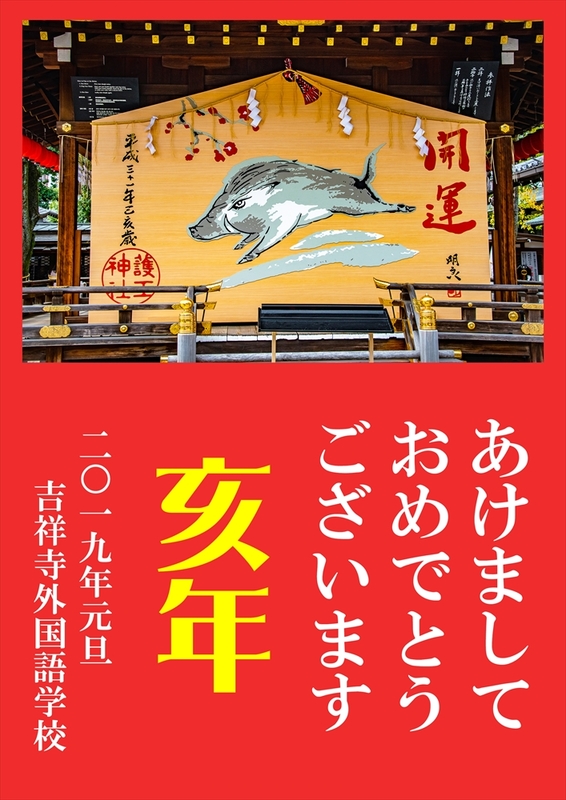 As last year, the summer festival ‘Enjoying the Cool Evening in Old Downtown’ will be held in the Edo-Tokyo Open-air Architectural Museum in Koganei Park, located five minutes by bus from Musashi Koganei Station. Let’s go enjoying the cool of the evening! ※ The expense is not for food and drink. * The student need to apply to an office. Please pay the organization admission fee of 250 yen in the case of an application. * The graduates need to propose to KLS by telephone (0422-47-7390), and please pay the admission fee on the day. On June 20(Friday) 2014, the period of April 2014 students hold the Completion ceremony in the class J. 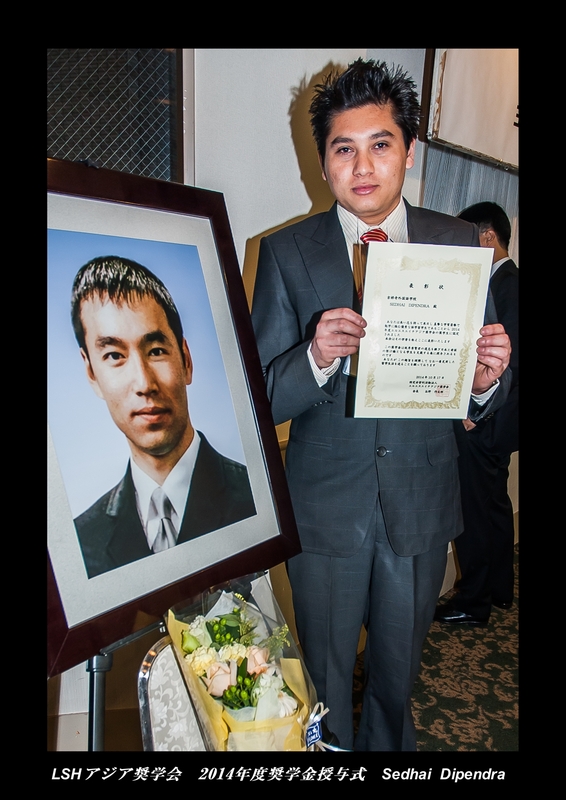 The teacher TSUTIYA awarded the certificate to every graduated student. Then teaching and administrative staff congratulate it. 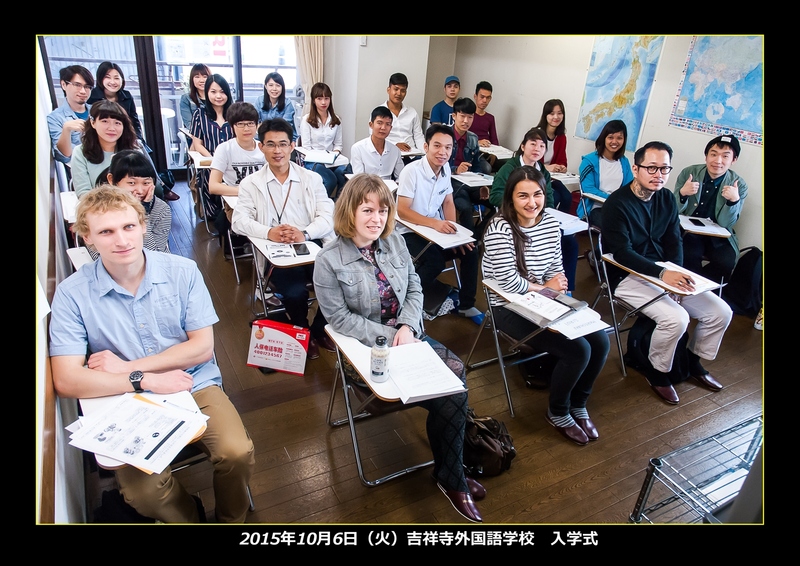 After that, the graduated students appreciate to teachers in Japanese. ＊If you want to see more photos of Completion ceremony, look at the Facebook please. 25. may (Sunday. 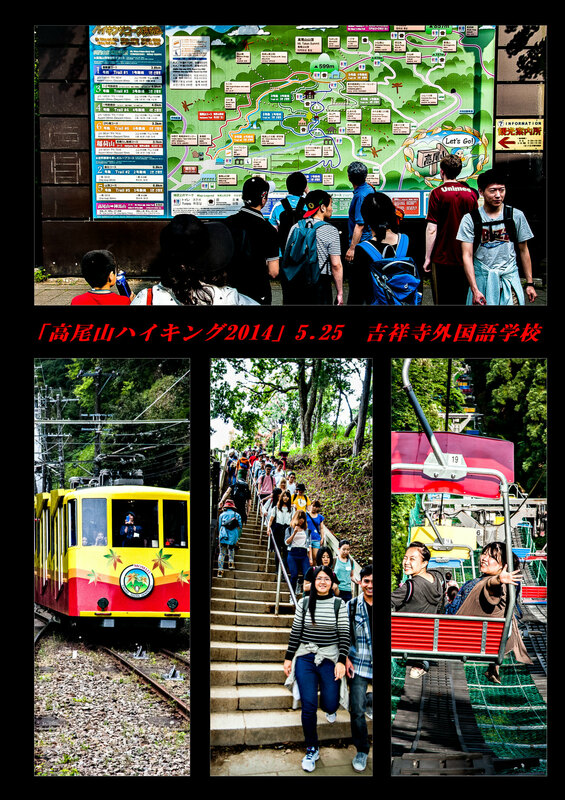 )It has gone to Mount Takao for an excursion. 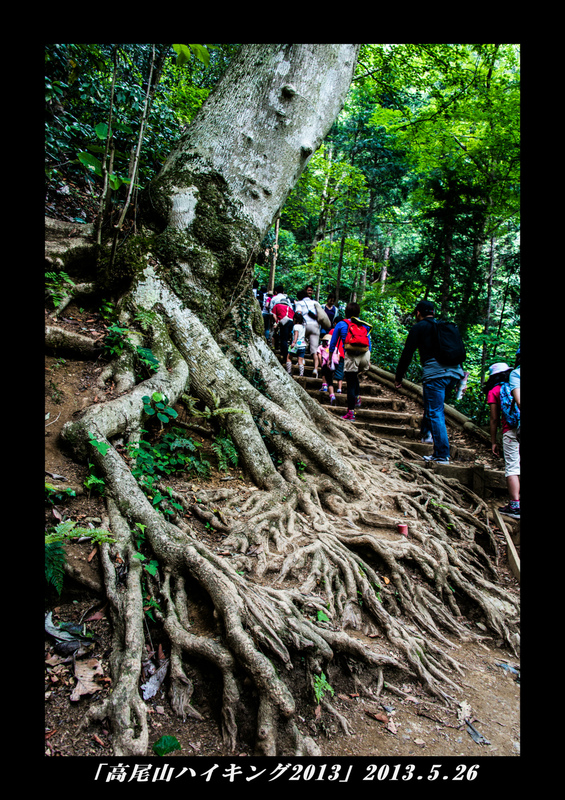 The [Mount Takao hike] which greeted the 3rd time by the end of this year. It gathered at Keio Lines Takamosan-guchi Station at 10:30, and hiked by being divided into five groups aiming at a summit (599 m) by all (52 persons) participants. The lunch ate the lunch gathered each one on the "momijidai." It was blessed by the weather, We enjoyed this day. I hope everyone in Japan and pleasant learning, life. The new students come on. Thanks for the help translation graduates internal student. The students in the school, please. 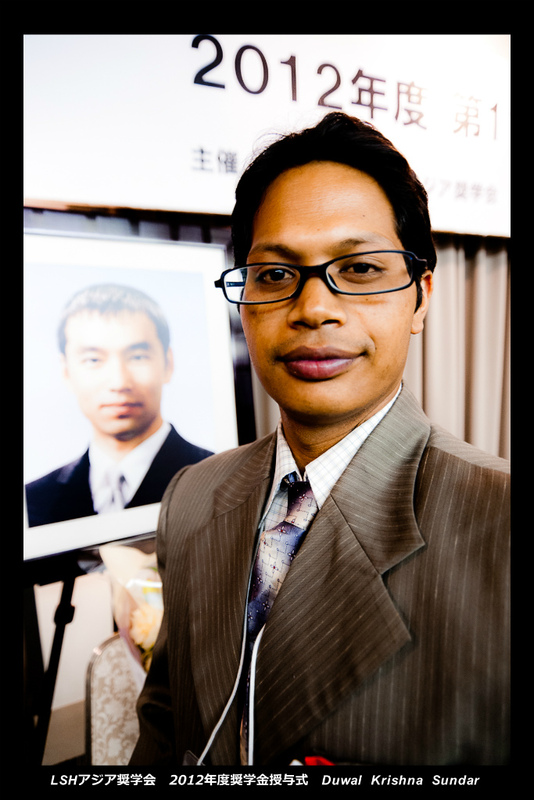 December 15th (sat) "KLS cross conference 2013" premise can bring a companion in the party. Undergraduates, graduates, Faculty included a total of 110 people, at highly record .And according to the Convention, Held a lottery. Everyone Tasting the food, snacks, strawberry and red wine and other foods, so that new year will atmosphere reached its climax, very happy. Thank you for the participants. If you want to see Cross year photos, chick the Face book please. 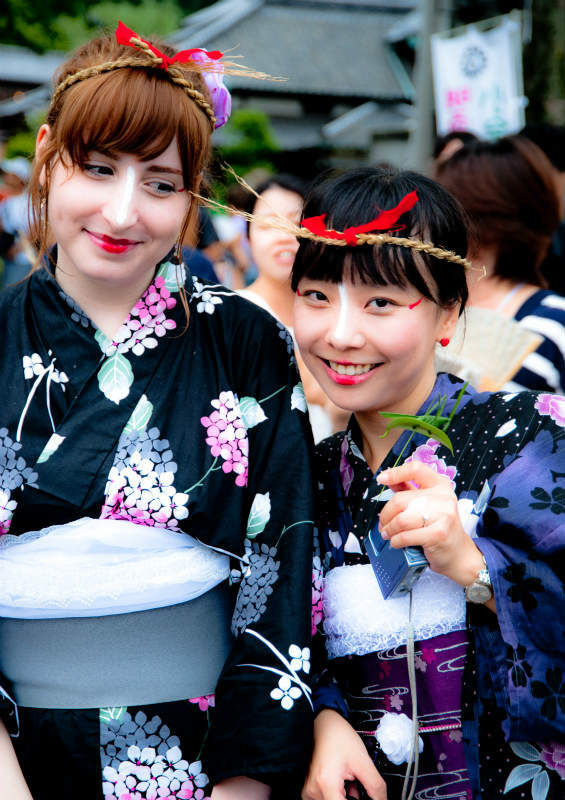 Search for Kichijoji Language School on the Face book please. We are waiting for you to participate in various activities in the future. In the new year，we hope you will enjoy yourself. On December 13(Friday) 2013, the period of October 2013 students hold the Completion ceremony in the class J. 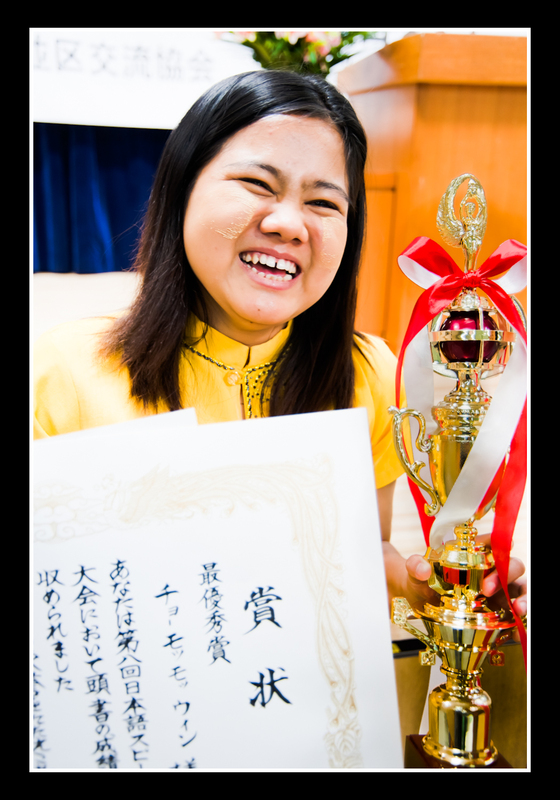 The teacher TSUTIYA awarded the certificate to every graduated student. Then teaching and administrative staff congratulate it. 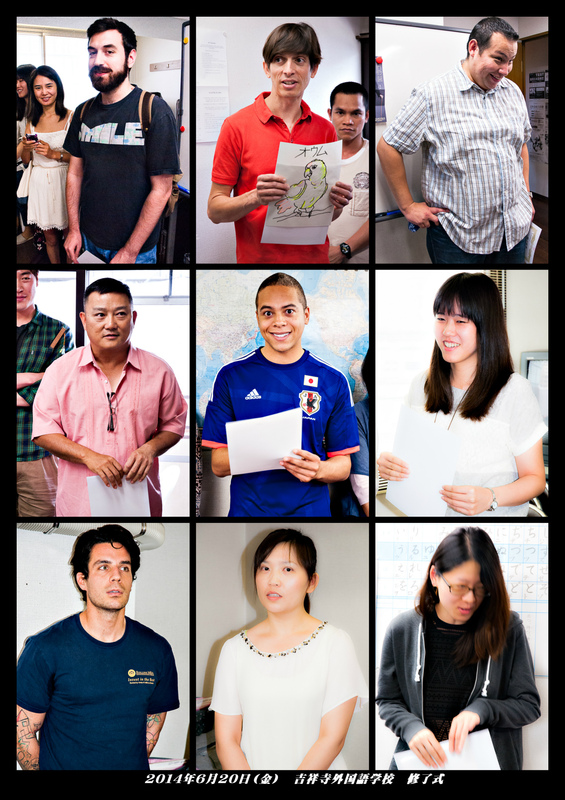 After that, the graduated students appreciate to teachers in Japanese. 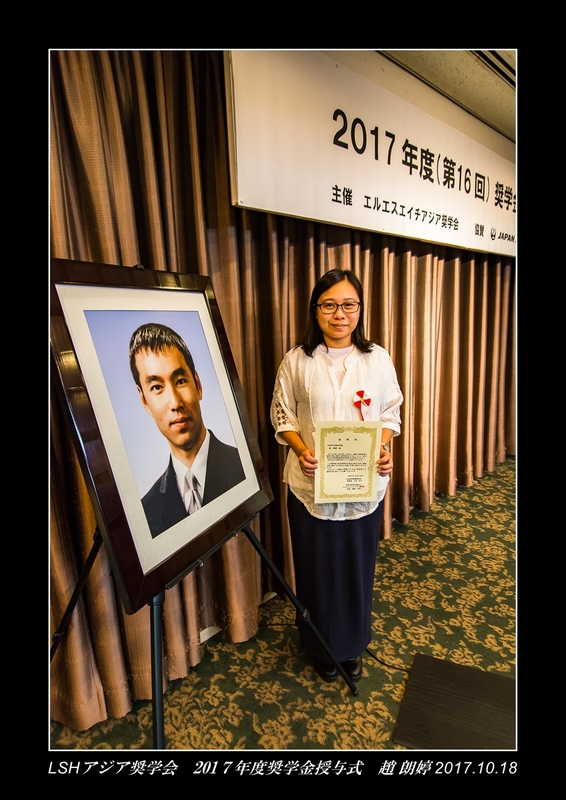 On Thursday , 17 October, at a ceremony held in Shufukaikan Plaza, Cai Xiaobing, a KLS student from Caina, was conferred with a scholarship certificate as one of 50 scholarship students selected by LSH (Lee Soo Hyun) Asia Shogakuka. 26. may Sunday. We went a hiking in Mt.Takaosan. We gathered in Keio Line Takaosanguchi station at 10:30. we started to climb the hill and goal for the top with the whole menber. We had a rest for eat lunch which we brought at the Momijidai. The hiking with a good weather. We have a good day! Thank you for everyone, and please rest slowly. The students of enrolled and graduates. Let’s go to enjoy hiking! If it’s　rain ,the plane will beancelled. Enrolled students, graduate, teachers and their family can　participates. Came to hiking and have　happy time together. Briefing session：May 23(thur) 12:40～　at 401Jclass. 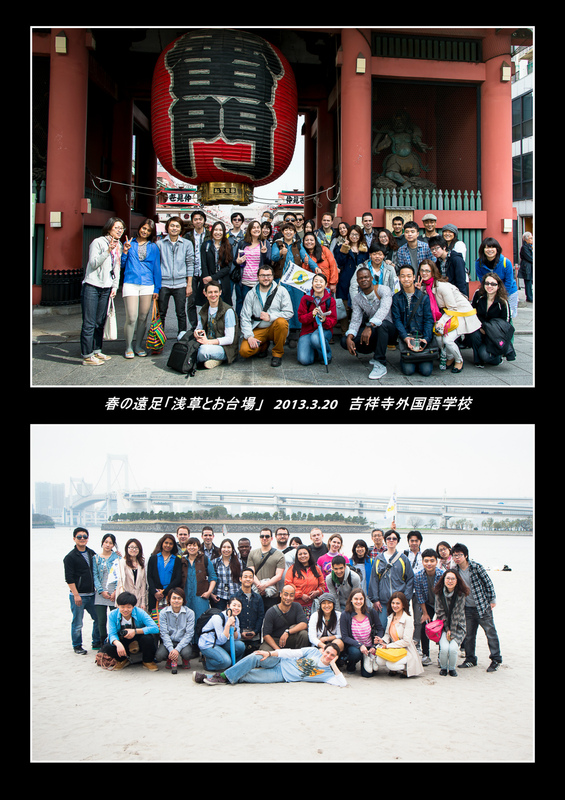 In March 20（Tuesday/Holiday）, we went to Asakusa　and Odaiba on a school Spring Excursion. We met at Toubuline Asakusa station 9:00 at morning. We took a walk in Asakusaderasanndo and took the Lunch in [gorogorokaikan]. After Lunch we took the line Toeiasakusasen and Yurikamome to Odaibakaihin Park. We were dispersed after playd in the beach for do free inspection. go to 「Enya」.There was 22students and teachers. We have a nice day! 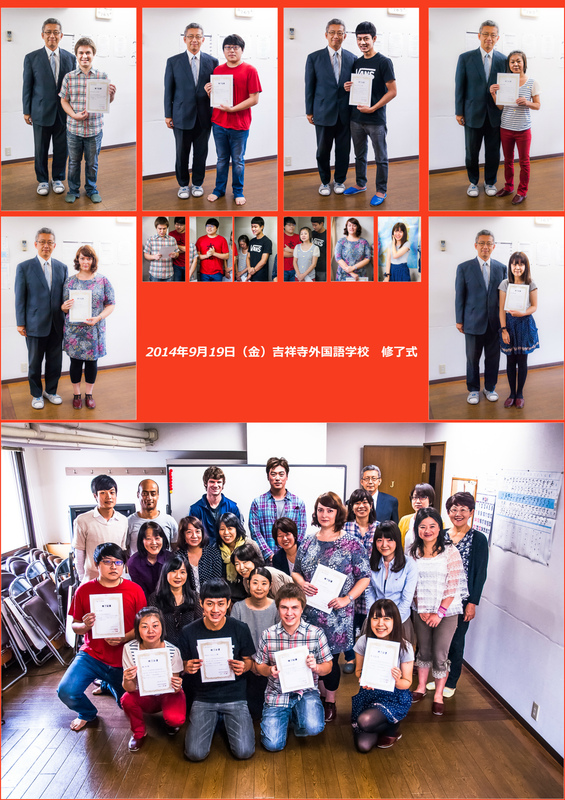 After President Tsuchiya delivered course completion certificates to every graduate by hand, the celebration with faculties had started and each graduates had given short speech in Japanese. The winners in KLS 4th Photo Contest!! 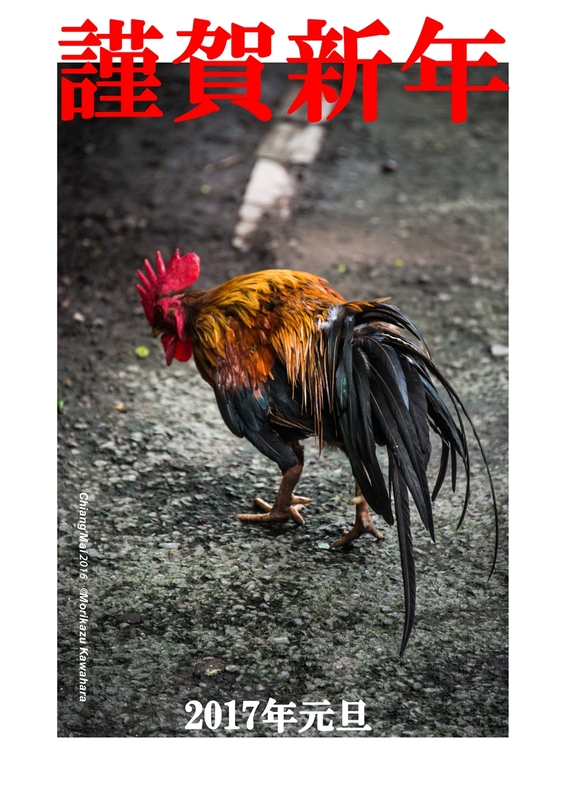 We chose the best shots among all current students’ photos for 4th Photo Contest. Prizes for best award, own theme award and unique award were prepared, every current students and faculties voted for the best of participants' photos. ＊The night view of illuminated bridge in Inokashikaonshi Park, Alexander named it Kinkakubashi which mean "the golden bridge" in Japanese. Actually, the original name was "Shichiibashi". It seems like a normal bridge during daytime, but the bridge offers a great scenic illumination with colorful lights in the night time. Alexander is honored with his sensitivity in arts. ＊After receiving the birthday cake, every classmate would be excited especially right before the first cut of the cake, Sapkota is attracted to everyone's expression with joy at the moment. The root of the tree grows as if it is a living creature. The leaves and miss still remains its own beauty after the rain. The balance of the green(leaves) and brown color(soil) shows the striking contrast. 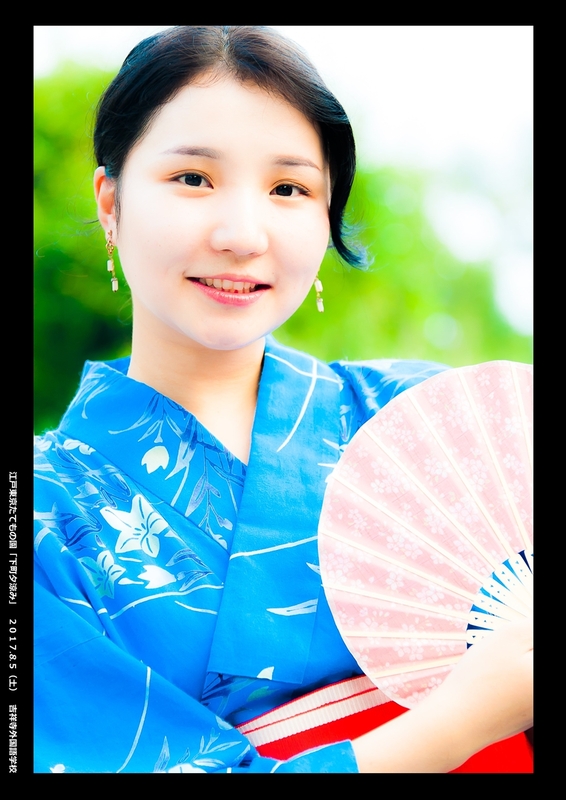 The photo is shot at Wada Fountain Park near Imperial Palace. A friend at KLS stood besides the fountain and pretended himself as a faucet. It reveals the humorous image from his face in the picture. The prize is prepared to suit Di's idea. 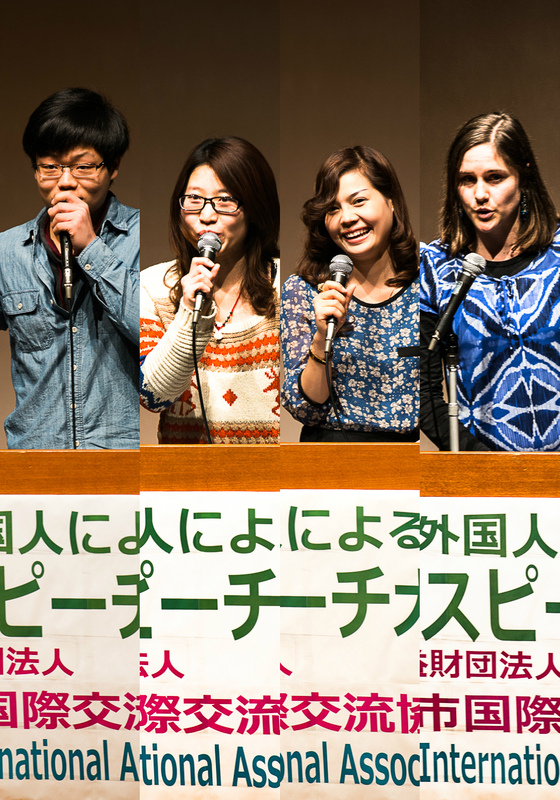 A Japanese Speech Contest was held by Musashino International Association(MIA) in swing hall on March 2,2013. 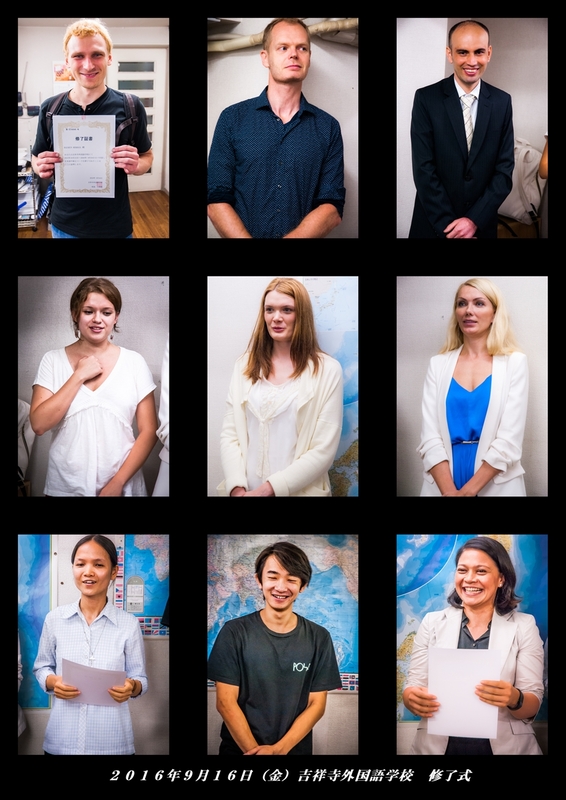 12 peoples from 8 countries presented their speeches in Japanese. 4 students from Kichijoji Language School made a great speech. KLS’ students and teachers went to cheer for the participant. What a nice day! Thank you for everyone! 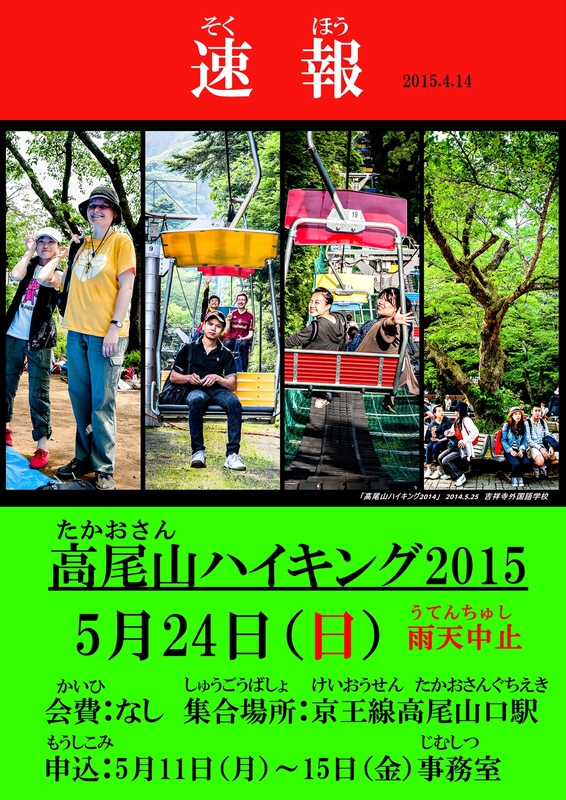 KLS event Spring Outing 「Asakusa&Odaiba」 will be hold. KLS students, graduates and staffs, with your parents or friends, Let’s go outing! Welcome your joining! ＊You can carry only two companion. The Lunch will be provided by KLS. ＊expense should be pay before. Graduates: Make a phone call, and then do the bank transfer. This year I hope that you will continue to favor us with your support. 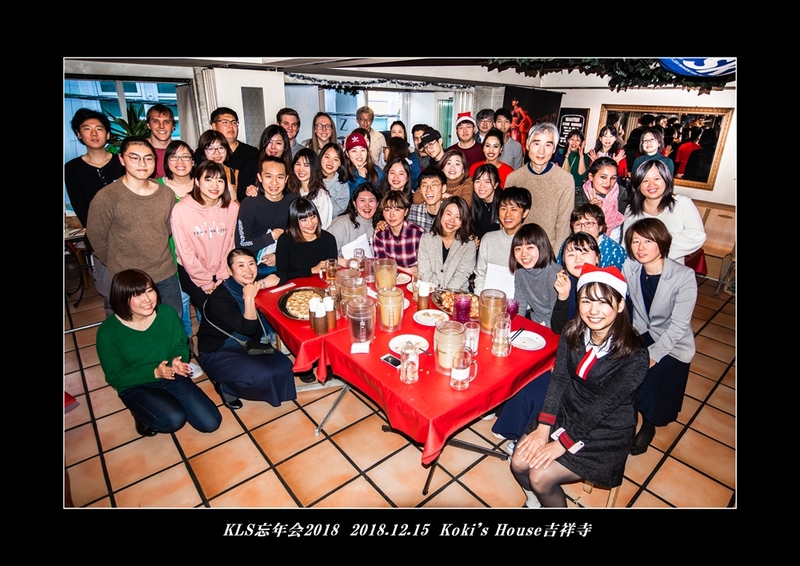 As usual 「KLS year-end party」was be held on December 15(Saturday). 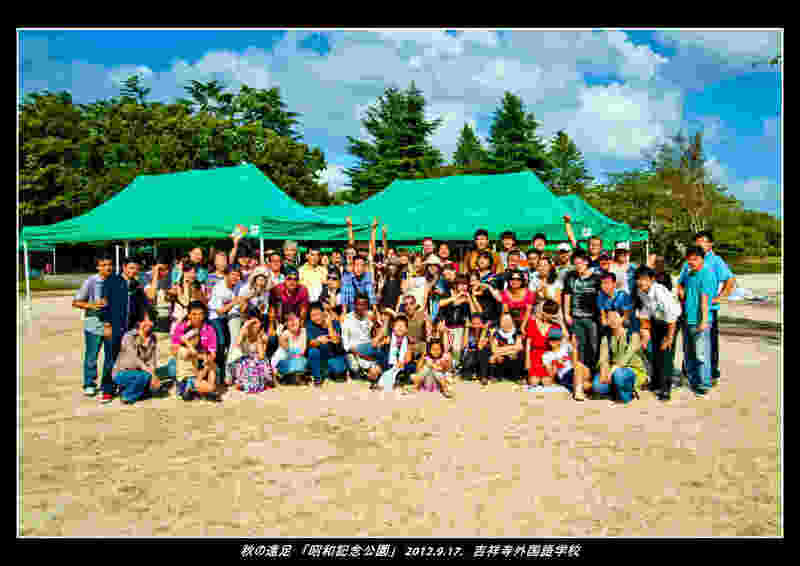 The students, graduates, staffs and their parents or friends joined in the party. This year, some students brought their handmade cake and cooking here. When the lottery started, the party really came alive. What a nice party! Thanks for everyone! 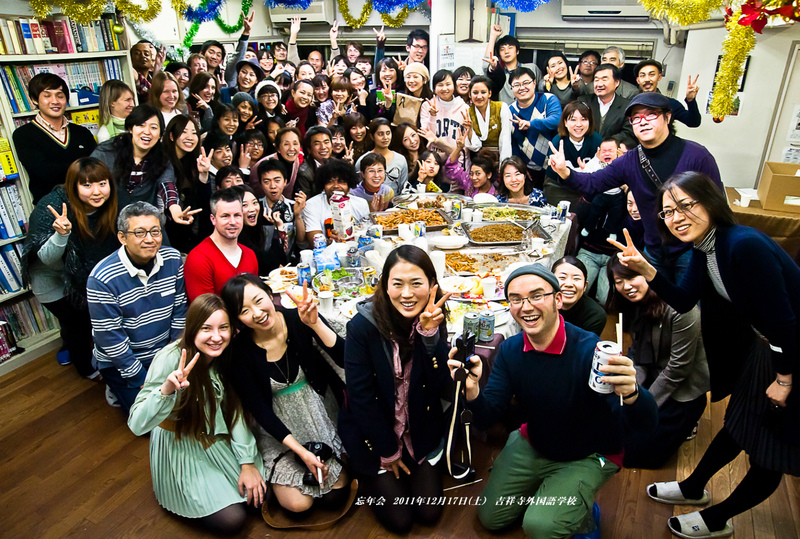 ＊The pictures of the year-end party were carried on the Facebook. As usual we will hold the 「KLS year-end party」. KLS students, with your parents or friends, welcome to the party! ＊Due to limited space, you can only carry one companion this year. ＊The participation fees should be paid before the party. 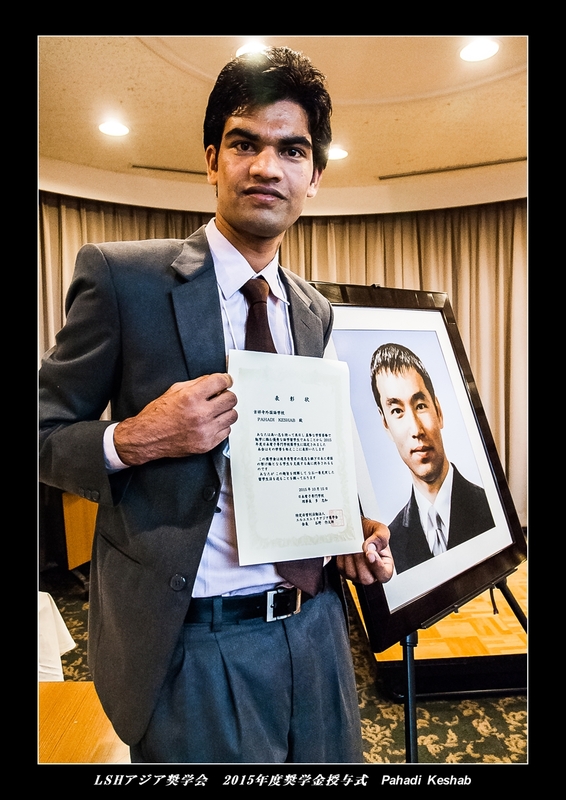 On Thursday , 18 October, at a ceremony held in Shufukaikan Plaza, Duwal Krishna Sundar　, a KLS student from Nepal, was conferred with a scholarship certificate as one of 50 scholarship students selected by LSH (Lee Soo Hyun) Asia Shogakuka. 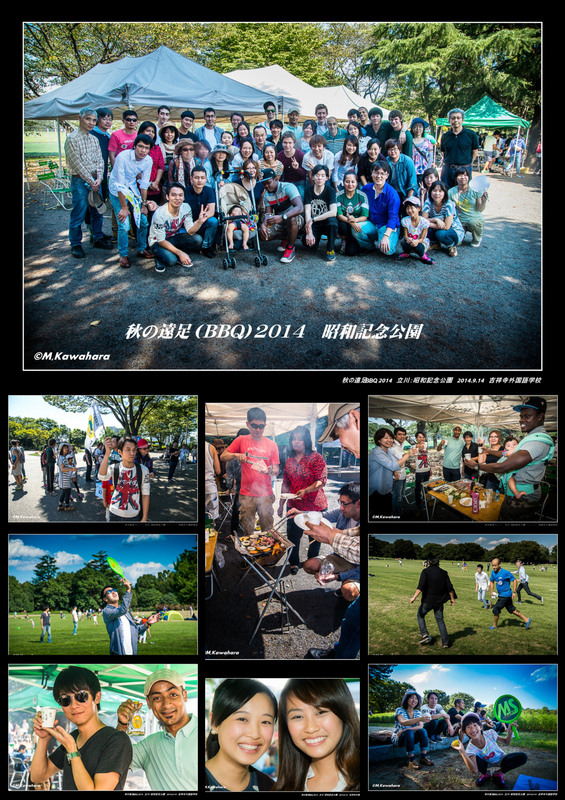 September 17 (Monday/Holiday), we went to Showakinen Park and hold a BBQ party! We met at 10 o’clock at the Nishitachikawa station and then went to the park together. While talking with friends from various countries, enjoy the barbecue. After barbecue, we did a lot of sports. What a nice day! Thank you everyone! 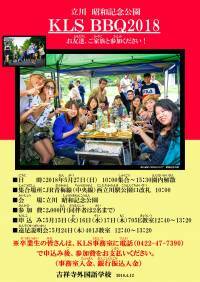 As last year, the autumn outing (BBQ PARTY) will be held in ShowaKinen Park, which is located in Tachikawa area. Student: September 3(Mon)~5(Wed), 12:40~13:20 705D classroom. Graduate: Before September 6(Tsu), make a phone call or sent a e-mail. The massage training course was held on every Friday and Saturday since December 2011 and was popular with the KLS students. Unfortunately, the teacher is in bad condition, therefore the chiropractic clinic is cancelled form June 22,2012.
we started to climb the hill and goal for the top. In March 20(Tuesday/Holiday), we went to Enoshima Island and Kamakura on a school Spring Excursion. In the morning, we played in Enoshima Island, and took the Enodan Line go to Kamakura in the afternoon. We took a walk in Komachi-dori and Tsurugaoka Hachiman-gu Shrine, ate some specialty food while walking. The excursion is blessed with the good weather. We have a nice day! 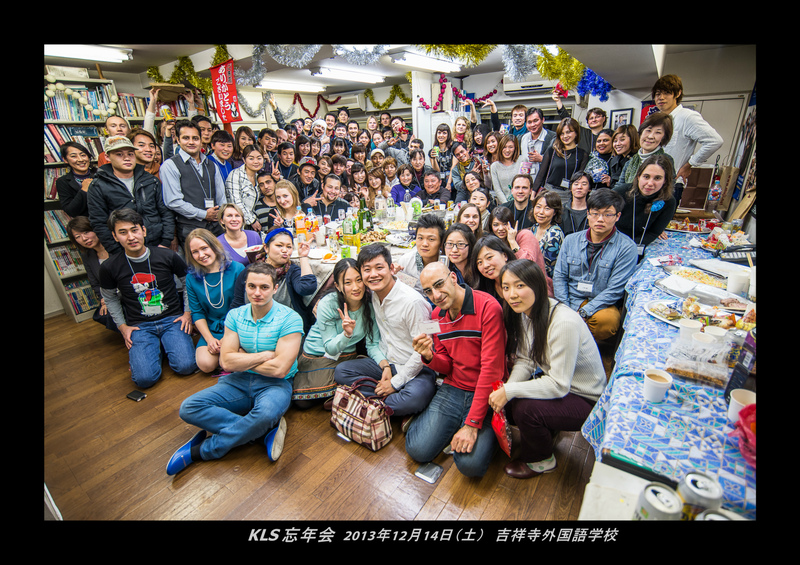 As usual 「KLS year-end party」was be held on December 17 (Saturday). The students, graduates, staffs and their parents or friends joined in the party. This year, some students showed us a national style dance and another student played an improvisation dance for us, too. They heated up the party. 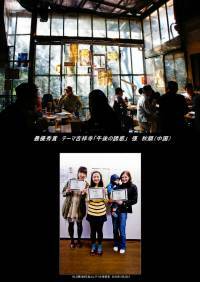 ＊ The pictures of the year-end party were carried on the Facebook. 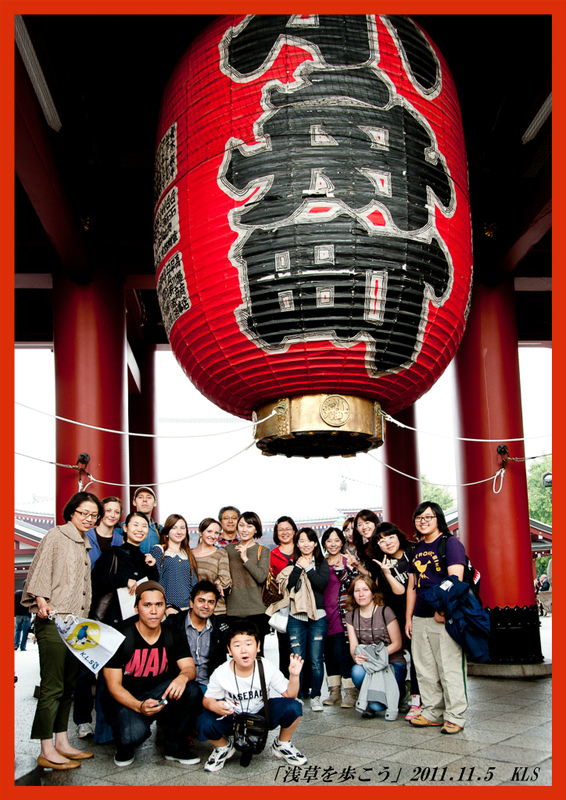 We went to Asakusa on 5 November. 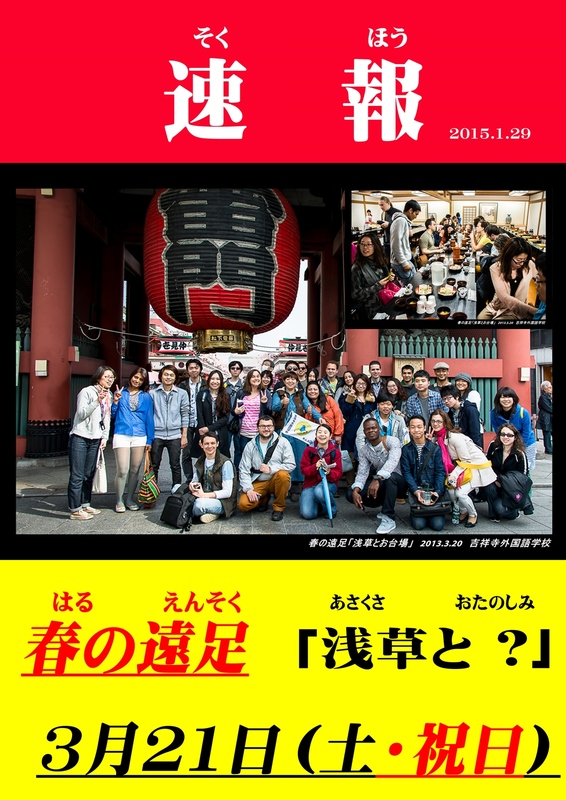 On that day, many foreign students were walking around enjoying the sites at Asakusa, Senso-ji, Asakusa-jinja and Sky Tree while paying a visit to Taito City. Later, we crossed over Asakusa Rokku and Kappabashi Street, and wandered up to Ueno station. Finally, before heading home, we went to an izakaya (tavern) had a few drinks and celebrated a fine day in the city. Good job!!! 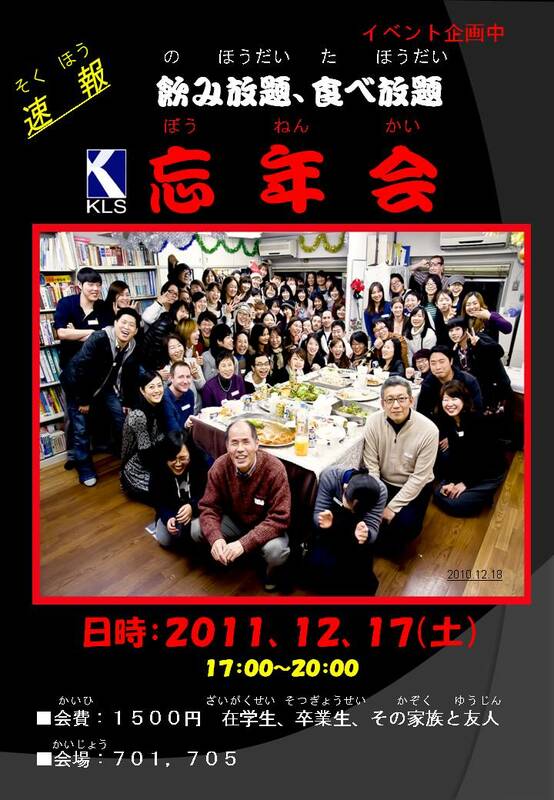 As usual we will hold the 「KLS year-end party」.The KLS students ，with your parents or friends, welcome to the party!! 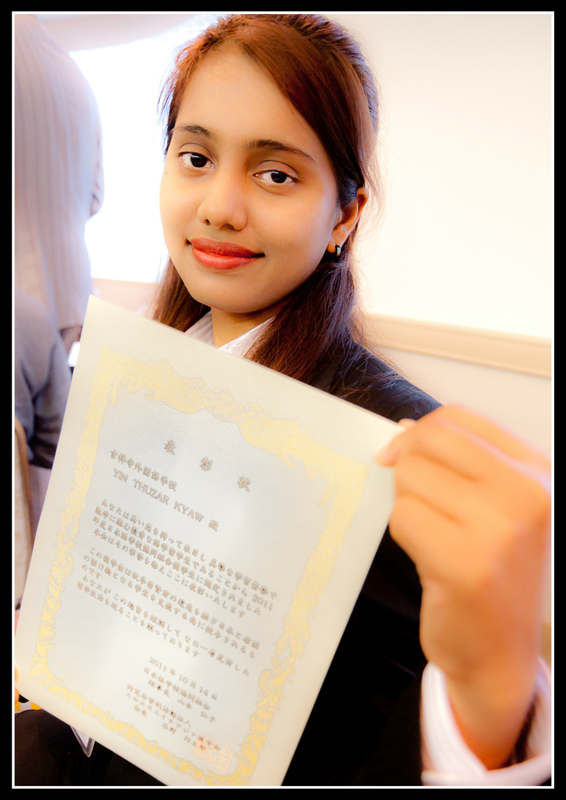 On Friday, 14 October, at a ceremony held in Shufukaikan Plaza, Yin Thuzar Kyaw, a KLS student from Myanmar, was conferred with a scholarship certificate as one of 54 scholarship students selected by LSH (Lee Soo Hyun) Asia Shogakuka. September 19 (holiday Monday) went to Showa Kinen Park in Tachikawa. While talking with friends from various countries, enjoy the barbecue, at last played games in「minnanoharappa」Spent a pleasant day. We joined the summer festival ‘a cool evening in old downtown’ held in the Edo-Tokyo Open-air Architectural Museum in Koganei Park, located five minutes by bus from Musashi Koganei Station. At the old downtown area mall, which has been relocated and reconstructed, we took pictures with a figure dressed in a yukata; shopped at the stalls and watched the performance at the miniature children’s shrine . We also savoured a performance by Japanese drums and danced in the Bon festival. 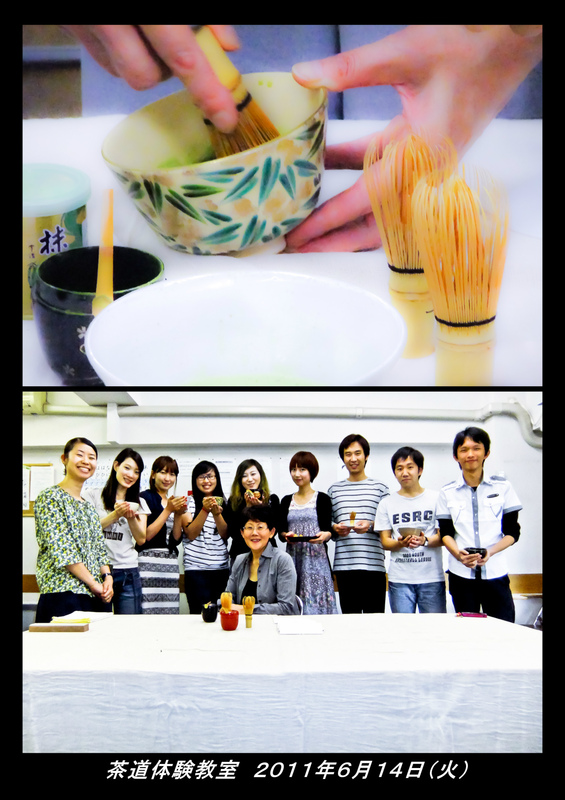 A tea ceremony experience and lesson was carried out during lunchhour on Tuesday, June 14. The ceremony offered students a chance to savor a delicious Japanese sweet while learning about how to make and how to drink tea, before making their own to sample. Enjoyed by everyone, it offered an excellent chance to learn more about and experience first hand this iconic Japanese ceremony. the opening of both the April and July terms. 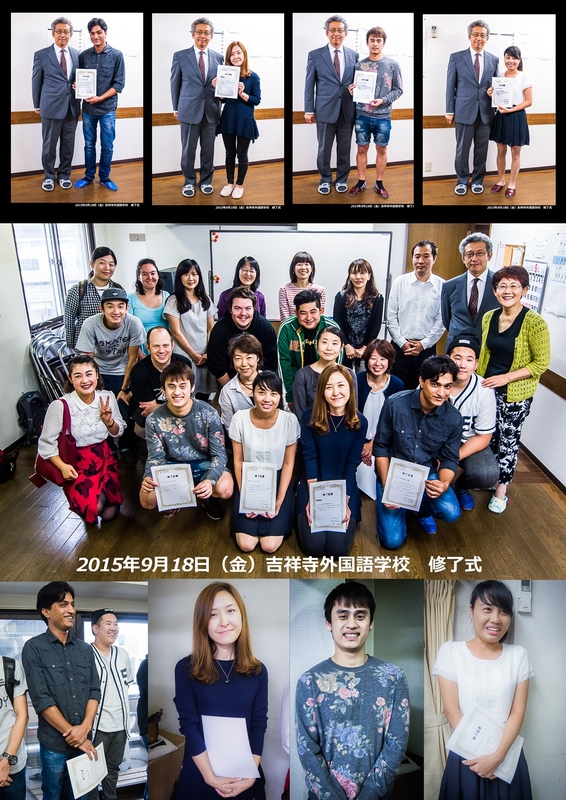 received the highest prize at The Eighth Japanese Speech Contest. 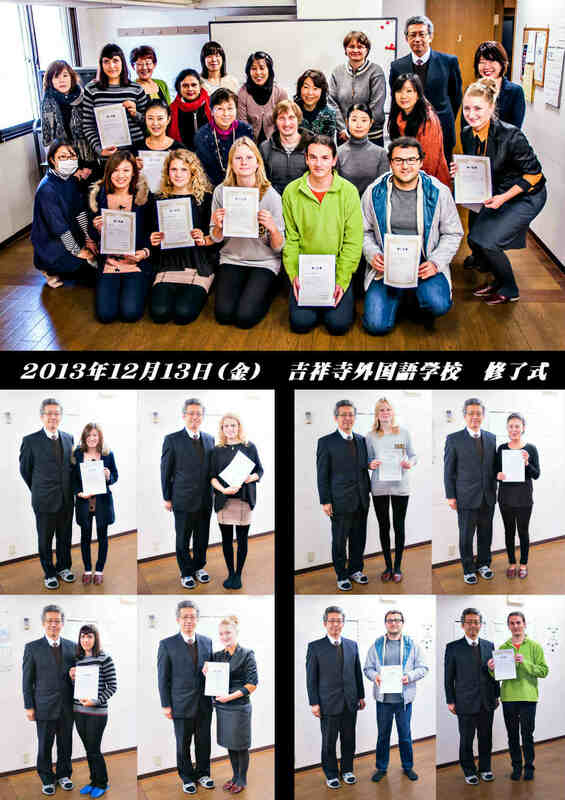 The Eighth Japanese Speech Contest was held at Suginami Sangyo Shoko Kaikan on Saturday 5th March 2011 and saw fifteen foreigner contestants make speeches. Presenters in the contest came from around that world: Spain, India, China, America, Indonesia, Myanmar, Korea, Russia, Nepal, Senegal, Vietnam and Germany. Our January Group course will start soon! Our January Group course starts now. We currently offer eight (8) courses from Basic to Advanced 3 providing every student an opportunity to study in the class that best matches their proficiency level. 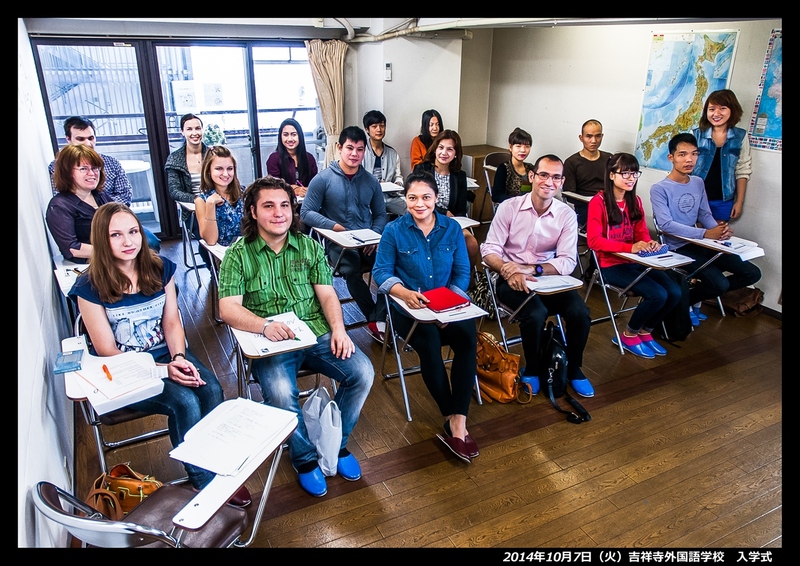 Our Japanese Language Proficiency Test (JLPT) Preparation Course will start soon! 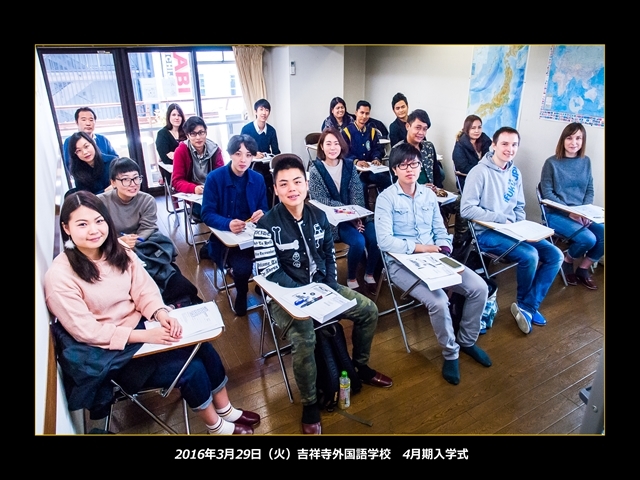 To help our students pass JLPT Level 2 in 2010, scheduled for 5 December, KLS will open a special preparation course with a class for N1 and a class for N2.
" 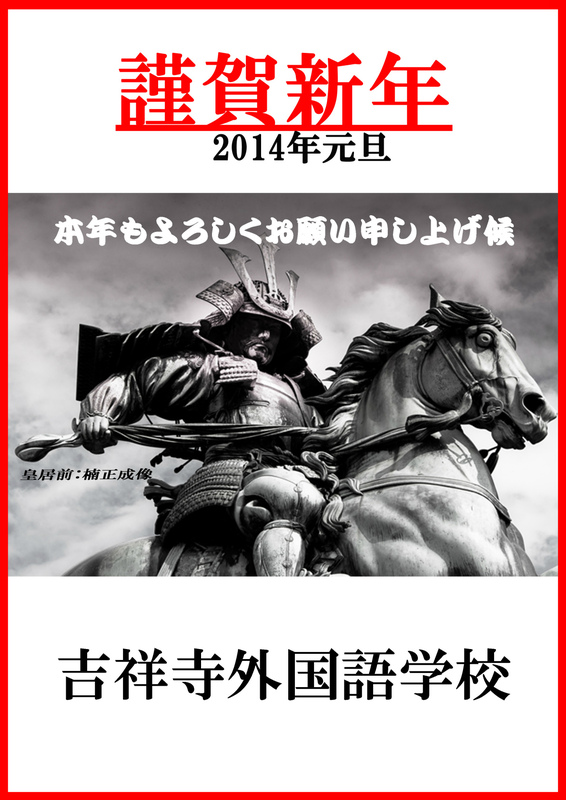 Private Lesson designed for own purpose ( 5 times-class / each course) " is opened now. 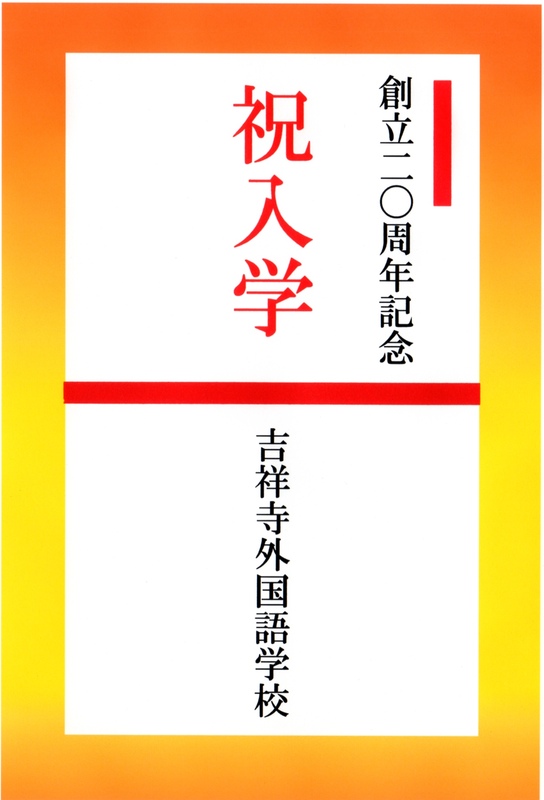 We opened a new Private Lesson designed for own purpose. There are following courses designed for each purpose and of 5 times-class / each course. The lesson is able to start in every levels. It will be decided after having an interview in the school. 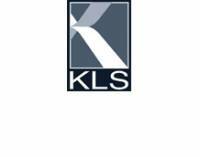 KLS 20th anniversary will start from April 1, 2010 ! to KLS after April 1.